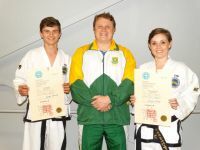 - Black belts receive their certificates! - ATC black belts receive their certificates! 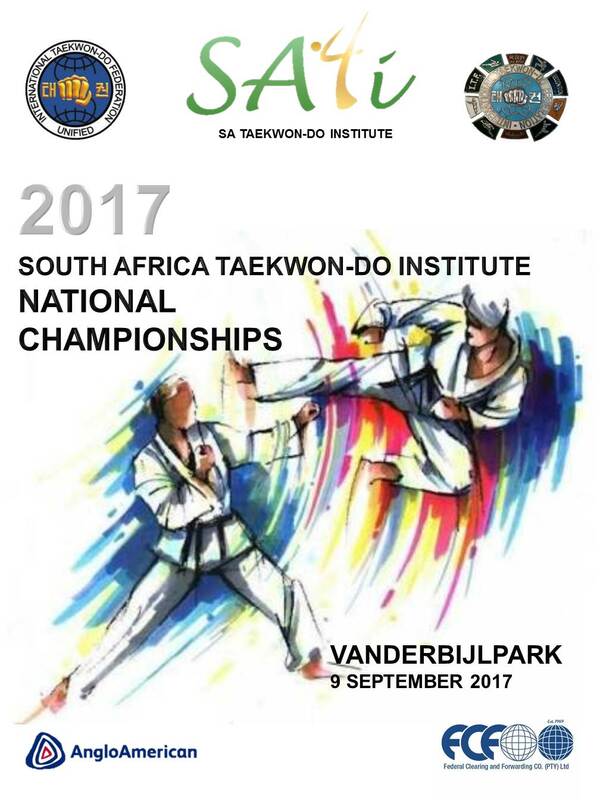 It is with great excitement that all the affiliated clubs to the South Africa Taekwon-Do Institute (SATI) are invited to participate in the 2017 SATI National Tournament in Vanderbijlpark. It is with great excitement that all the affiliated clubs to the South Africa Taekwon-Do Institute (SATI) are invited to participate in the 2016 SATI National Tournament in Cullinan. 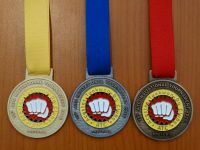 The 1st, 2nd and 3rd place winners will receive tournament medals. The club with the most points will receive the SATI floating trophy. We encourage you to bring your friends and family to support you on the day. 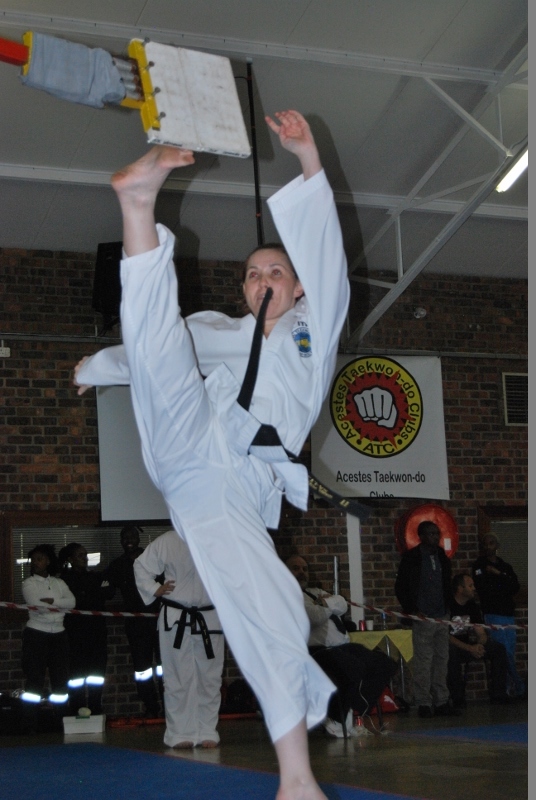 On Saturday the 2nd of July 2016, 20 students from ATC Cullinan Taekwon-Do Clubs entered the 1st ATC Tiny Tiger Friendly Tournament. 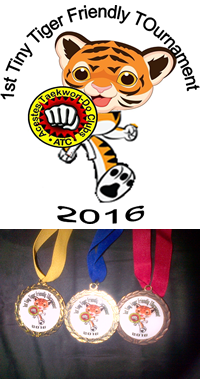 This was the first ATC dedicated Tiger tournament to be hosted. 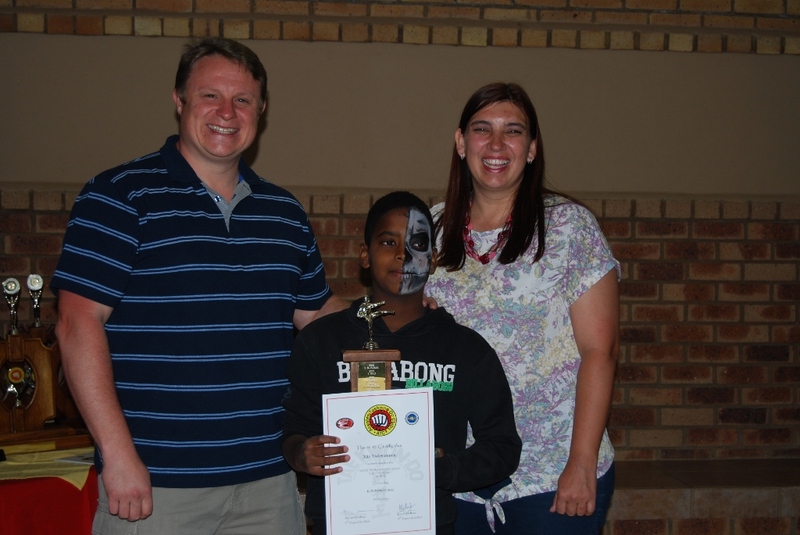 Mr. Justin Collett, the instructor of the ATC Cullinan and Rayton dojangs initiated and organised the tournament for students aged 4 to 13 years in order to enjoy the sport aspect of the art. This came after he realised that the very young students lacked confidence in themselves and focus in the art. The tiny tigers had a lot of fun and the cuteness of them competing caught everyone's attention. 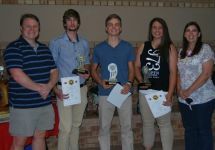 The goal of building confidence could be seen in every tiger at the end of the tournament as well as the focus of each student in class during the week after the tournament. 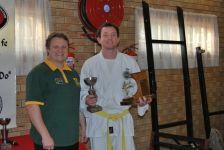 The tournament was a great success and Mr. Collett would like to thank all that contributed in making this a very successful tournament. 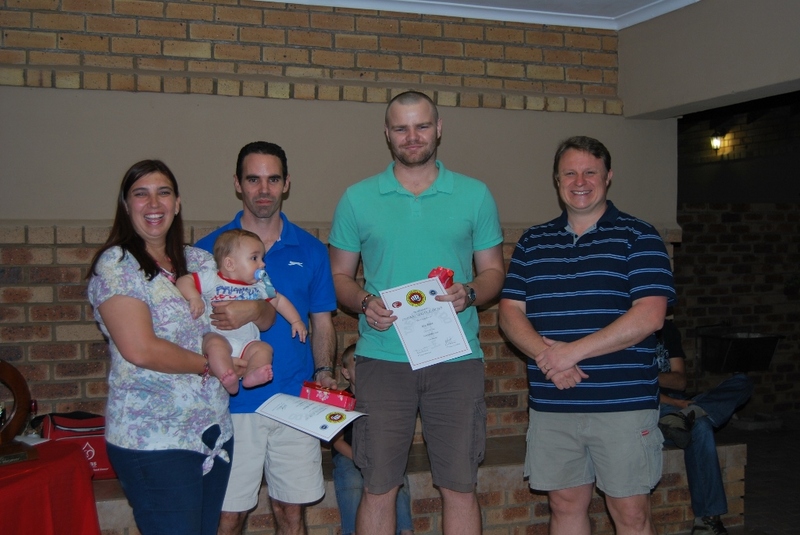 A special appreciation and thanks to the Cullinan Sport Centre (Petra Mine), Eco Chem and Wilma de Waal for their respective contributions. He also added that he would to thank Sabum Manie Naudé for attending the tournament in capacity as Tournament Director and Boosambums Jaco Botha (3rd Degree) and Susan von Wielligh (2nd Degree) and for all 3 of them assisting with umpiring during the event. 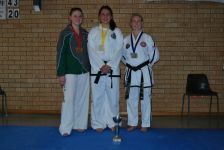 A big congratulations to all the tiny Tiger students that won medals at this inaugural tournament and we’re already looking forward to the next tournament to be held in the near future. 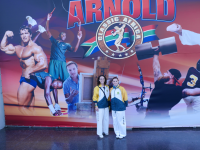 Over the weekend of 26 - 29 May 2016, two of our black belts, Susan von Wielligh (2nd Degree) and Isabel Potgieter (3rd Degree), competed in the MASA tournament at the inaugural Arnold Classic Africa multi-sport event in Sandton, Johannesburg. They competed in Advanced Korean Forms against all the other Korean martial arts practitioners. 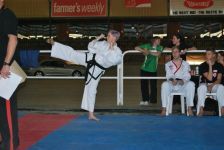 They finished fourth (Susan) and second (Isabel) in the senior and veteran divisions respectively. 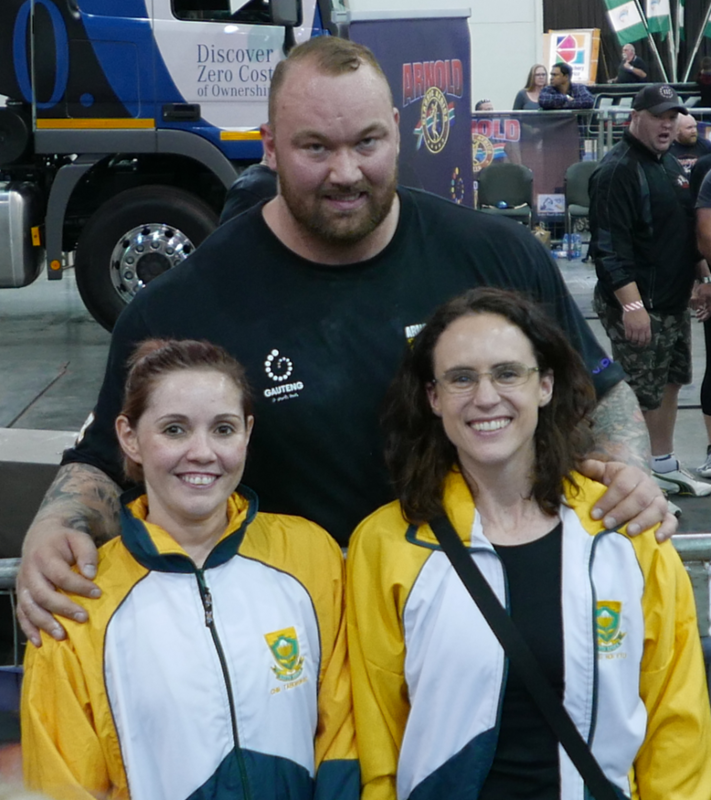 In addition to competing in a very large martial arts tournament, they got to see hundreds of athletes compete in many different sporting codes from all over the world and even met arguably the strongest man in the world, Hafþór Júlíus Björnsson, who took the honours in the professional strongman competition. All in all a very interesting event. The air was filled with anticipation as competitors and supporters gathered in the Gauteng North Wrestling hall in Menlo Park (Pretoria) on Saturday 21 May 2016. 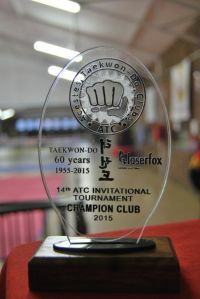 After months of intense preparation and training, participants got the chance to compete against their peers in the 15th Annual ATC Invitational Tournament. 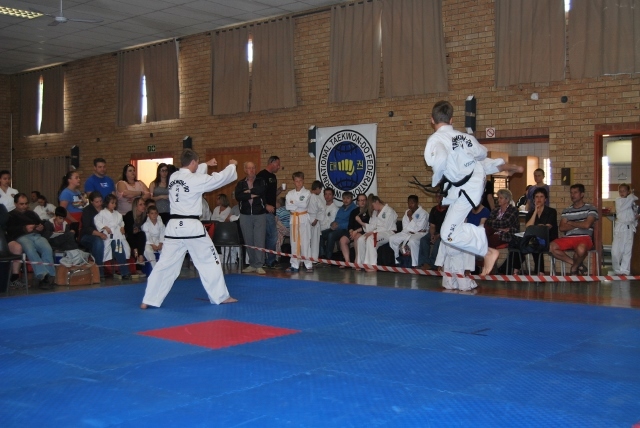 The tournament kicked off with black belt patterns, followed by tiger patterns and vigorous tiger sparring. 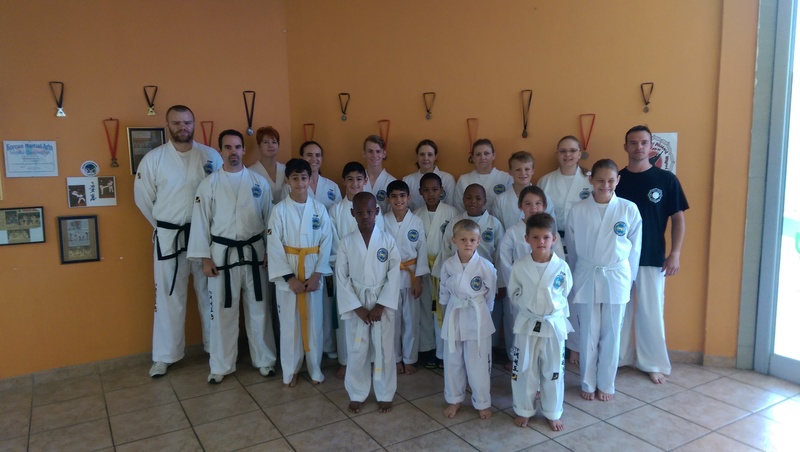 It was wonderful to see great sportsmanship, determination and courage even in the little ones, realizing that these black-belts-in-the-making are the future of our organization. 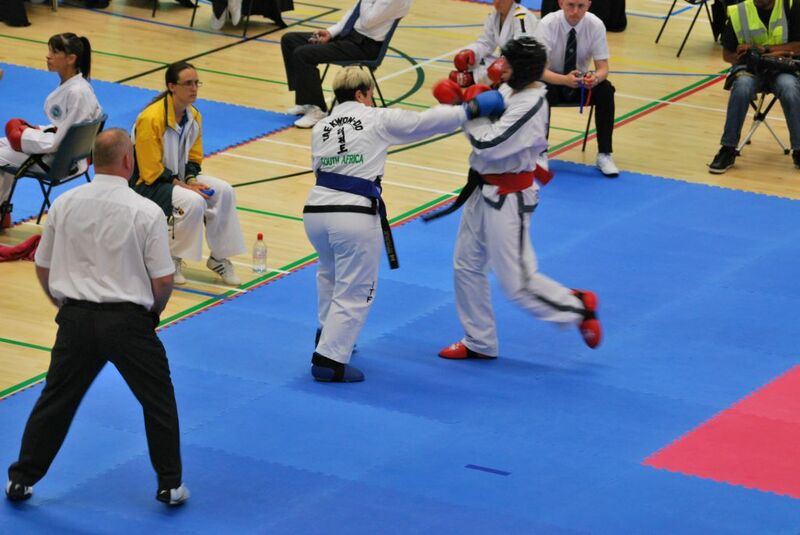 The colour-belt patterns and sparring also saw fierce competition. 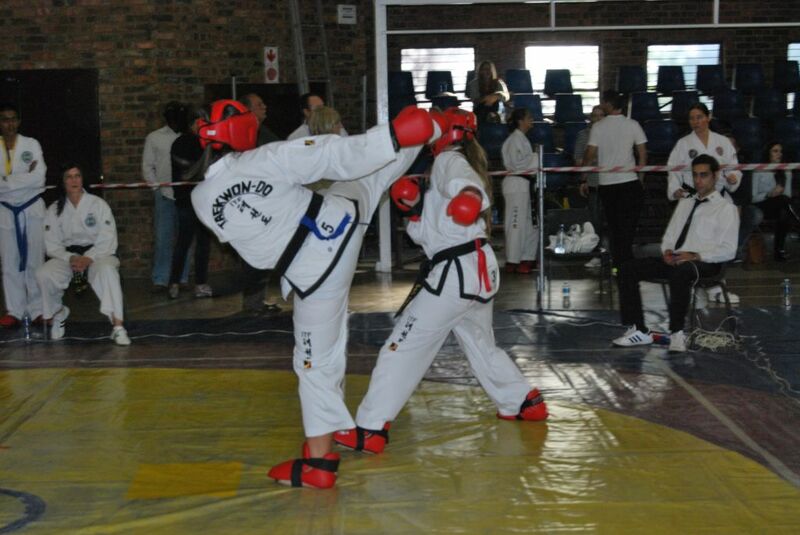 The black belt sparring had the spectators on their feet with nail-biting action. 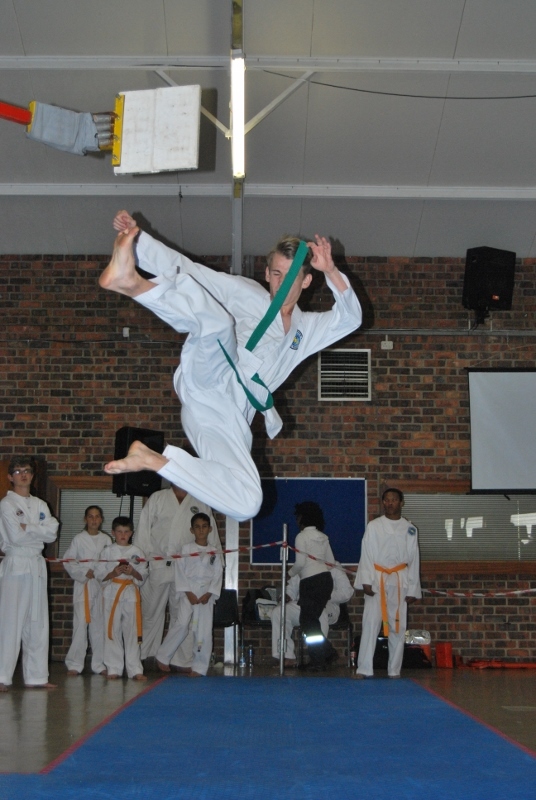 The special techniques and power breaking was spectacular to watch and ensured that the day ended on a high note! 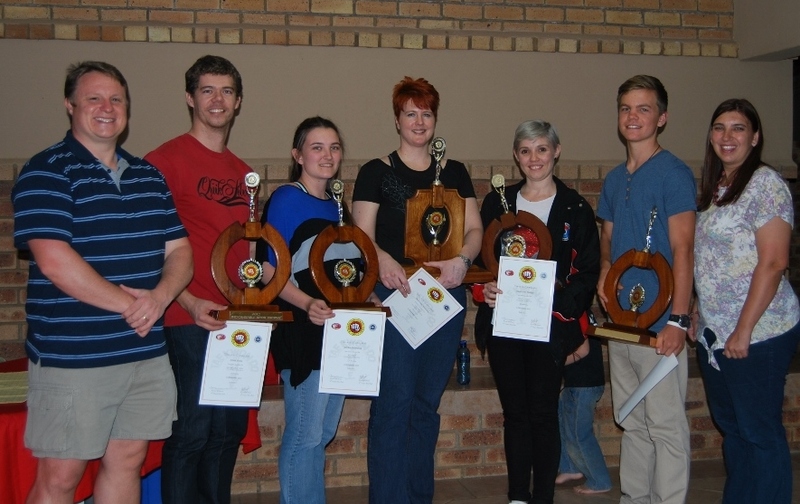 We would like to congratulate the winners of each category and in particular the floating trophy winners of the Veteran, Senior, Junior and Tiger divisions (please see below). 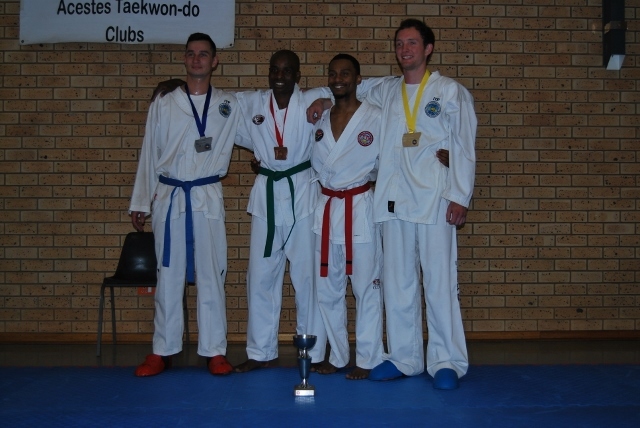 We would also like to congratulate The Taekwon-Do Centre on winning the floating trophy for the club with the most points for the 2nd year in a row. 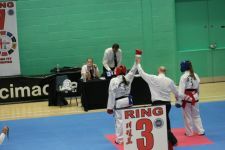 Furthermore, thank you to thank all the black belts, black stripes and instructors that assisted with umpiring throughout the day. 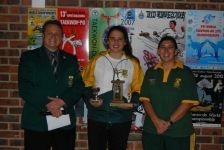 Without your help it would not have been possible and we hope that you will again avail yourself as umpires for the next ATC Tournament. 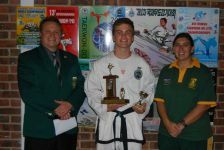 In true ATC tradition, the Tournament has been a huge success and we look forward to the next one! 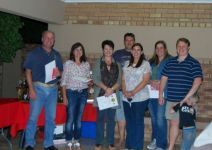 Die ATC span het op Saterdag die 12de Maart 2016 aan die 2de Byongae toernooi deel geneem net buite Centurion. Die span het bestaan uit Manie Naudé (spankaptein), Vito Vukomanovic, Christoff du Plessis, Svetlana Zalevskaya, Justin Collett en Alexander Grobler waarvan almal medaljes terug gebring het. 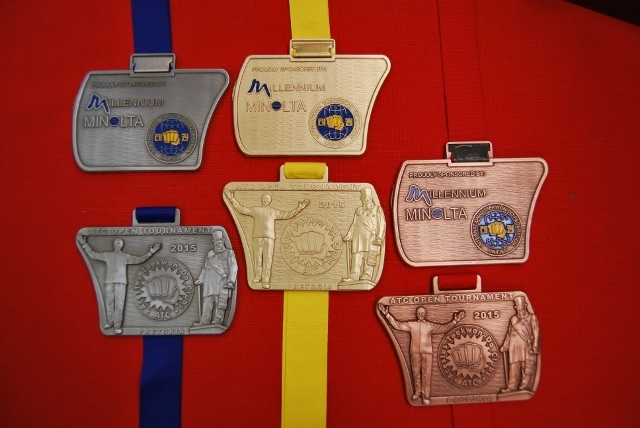 ‘n Totaal van 11 medaljes is gewen deur die ATC spanlede waarvan 8 goud, 1 silwer en 2 brons was. 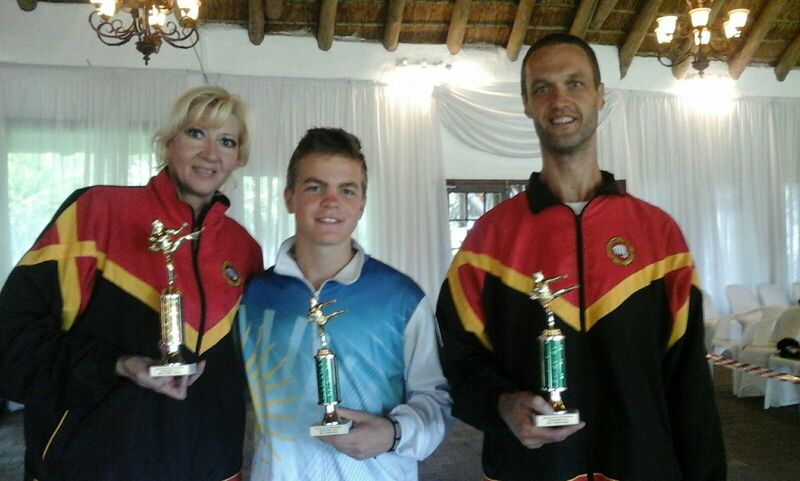 Vito het ‘n brons medalje vir sy patterns ontvang en Christoff het n goue medalje vir sy patterns, sparring en special techniques ontvang. 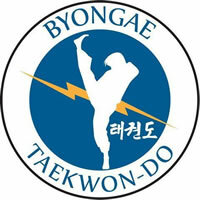 Dit was ‘n baie suksesvolle dag vir die ATC span en ons sien uit daarna om volgende jaar aan die 3de Byongae toernooi deel te neem en weer ons stemme te gaan dik maak. 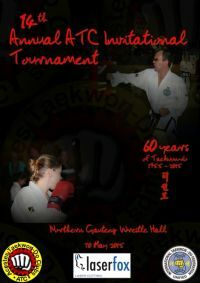 It's that time of the year again, participants come from all over to compete in the Annual ATC Invitational Tournament. 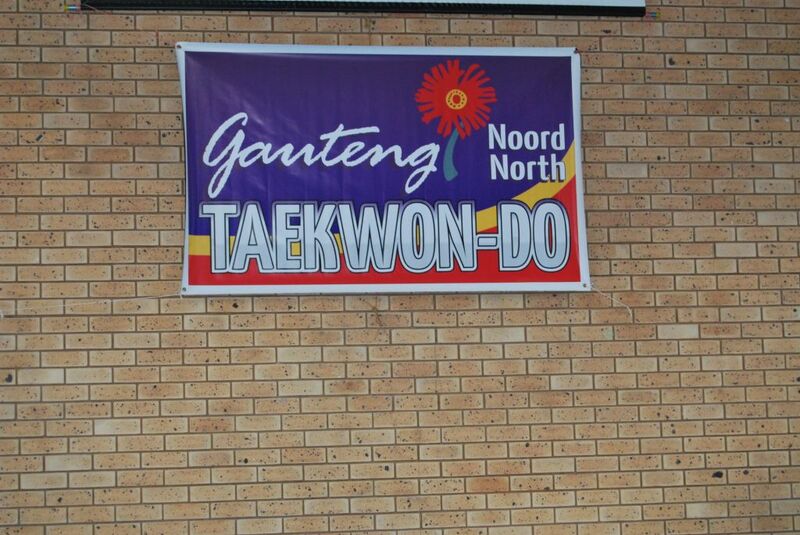 This year, on Saturday 21 May the battle will continue at the Northern Gauteng Wrestling Hall in Pretoria. Participants can compete in Sparring, Patterns, Special Techniques and Power Breaking. 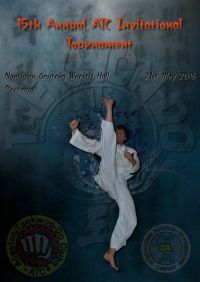 Entries close Friday 13 May. 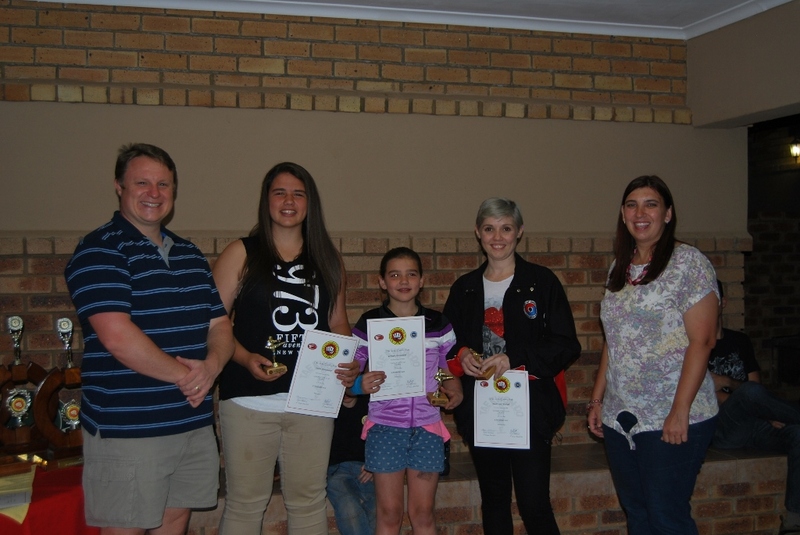 On Saturday 21 November 2015 Manie Naude (4th degree), Isabel Potgieter (3rd degree), Jaco Botha (3rd degree) and Theorentia Veldsman (1st degree) travelled form Pretoria to Groblersdal to conduct a seminar and grading for the Horangi Taekwon-Do club. 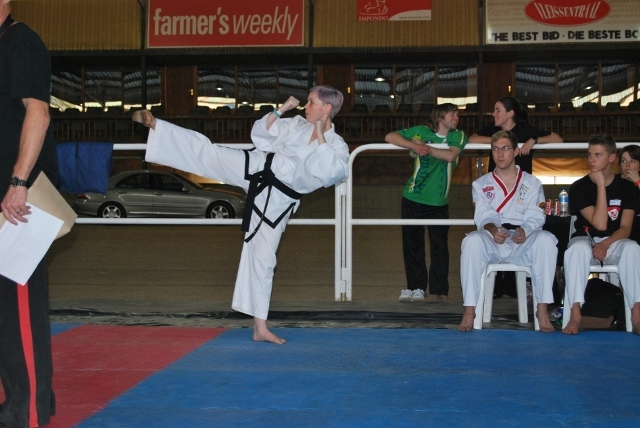 The Horangi students enjoyed the seminar and performed very well in their grading. 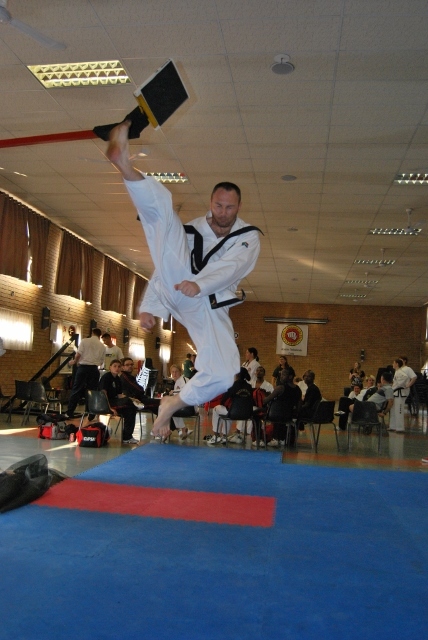 The instructors from ATC were impressed with the standard of Taekwon-Do practiced in Groblersdal under the expert leadership of Bsb Gerhard Louw. 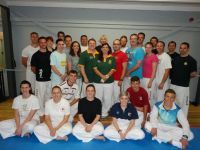 Congratulation to all the students that graded, and a BIG thank you for the generous hospitality, the excellent lunch and the overall positive spirit experienced! 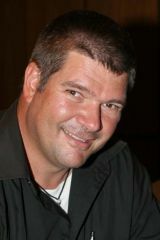 It is with great sorrow that we announce the passing of our friend and instructor Sabum Chris van der Merwe on Friday 6 November 2015. 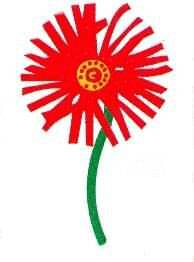 He was instructor of the ATC Cullinan dojangs until his untimely passing. 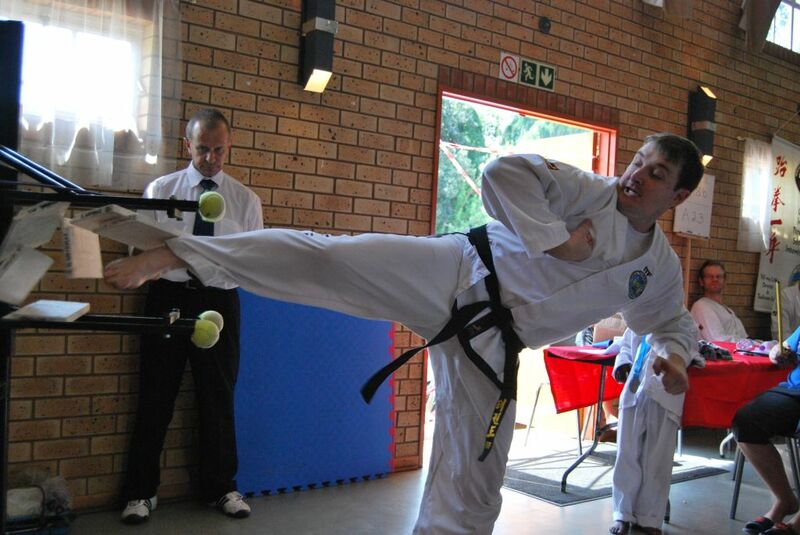 Sabum Chris was the founder of ATC (Acestes Taekwon-Do Clubs) on 1 January 1999 in Pretoria and also the Co-Federation head of the Dan-Gun Kwan (a federation of the SA-ITF). He has been very instrumental in the successes achieved by ITF Taekwon-Do in South Africa during the past 15 years and played a pivotal part behind the scenes. 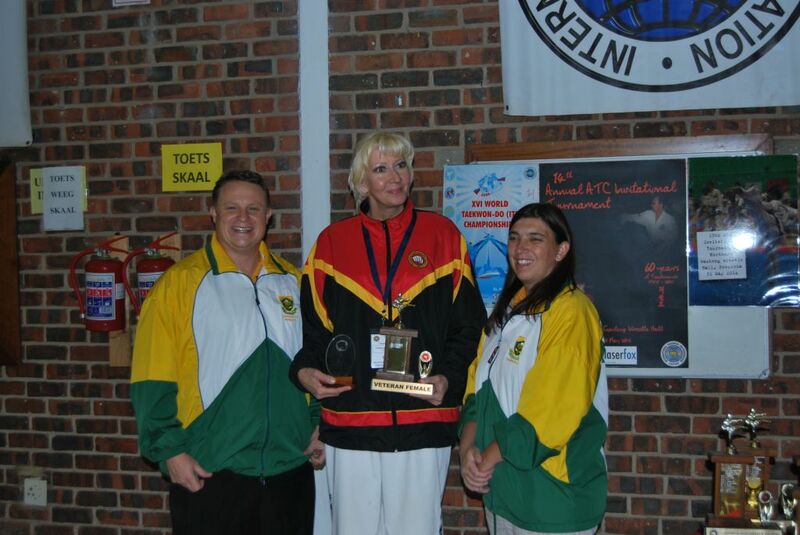 Over his many years of service he held numerous important positions on the SA-ITF's executive board, such as Secretary General, Information Director, Constitutional Director and was the first webmaster for the SA-ITF. It was particularly in his roles as Secretary General and Constitutional Director that he shaped the very core of the organization. 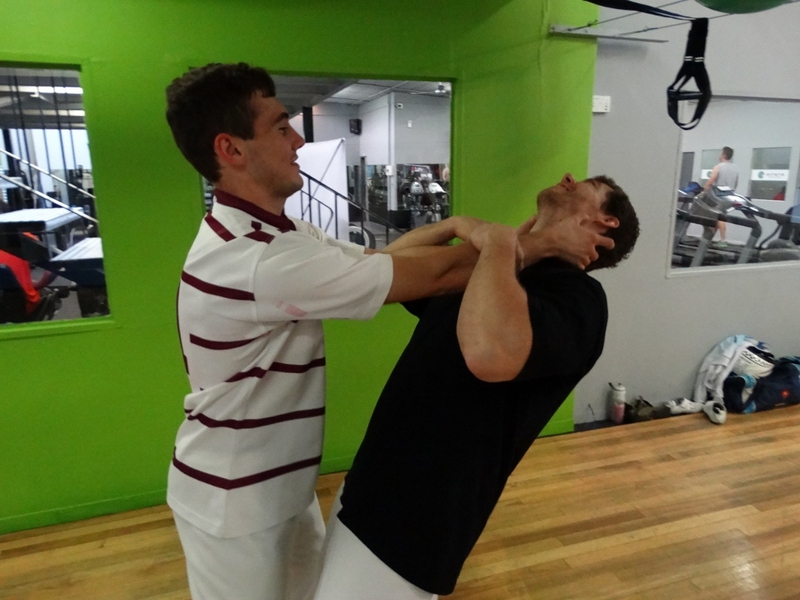 Few members know how fiercely he fought behind closed doors on their behalf. 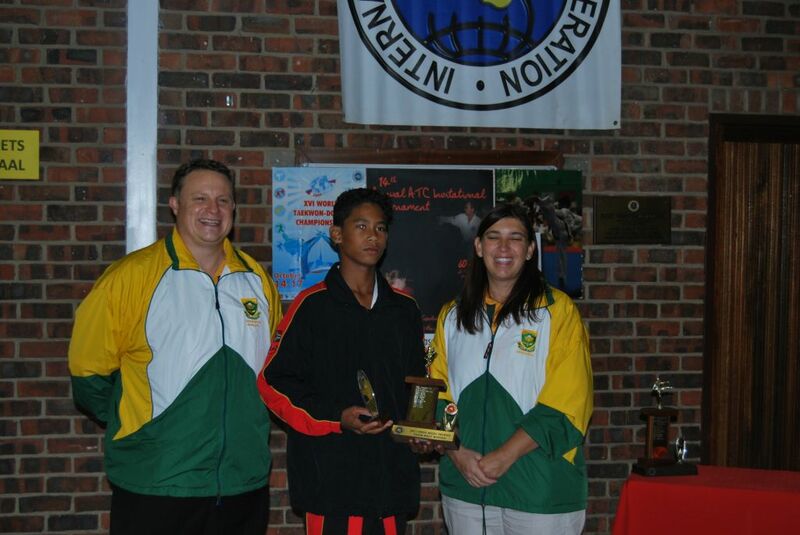 Sabum Chris was also part of the SA-ITF National Council. 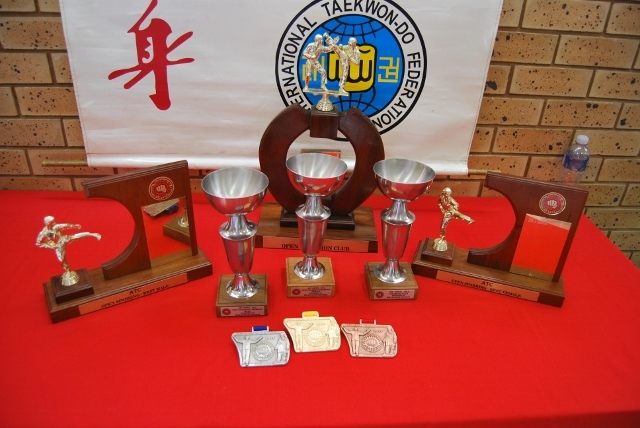 He also functioned as National Team Manager during the 2003 ITF World Championships in Thessaloniki, Greece as well as the SA-ITF NGB representative at the annual International Congress. He was also selected as the Assistant Coach for the National Team in 2005 that participated in the ITF World Championships in Caloundra, Australia and here he also attended the important ITF meetings. 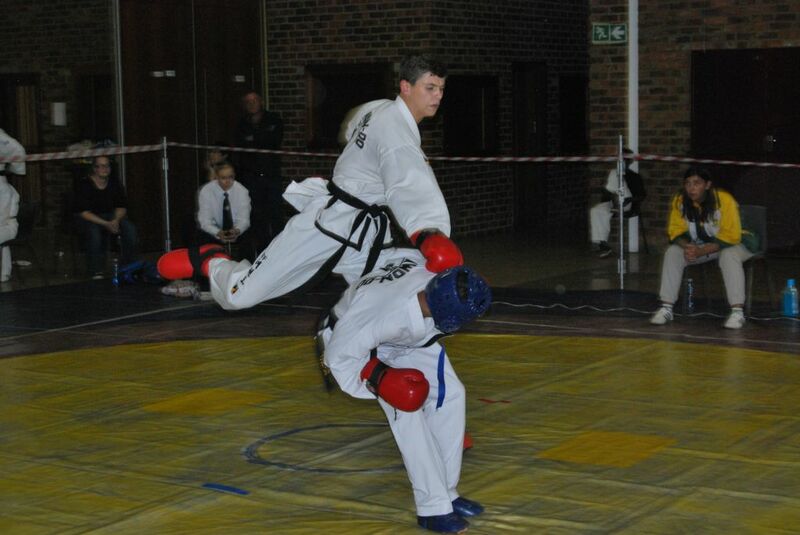 But to local and international participants he was better known as a great Taekwon-Do action photographer. 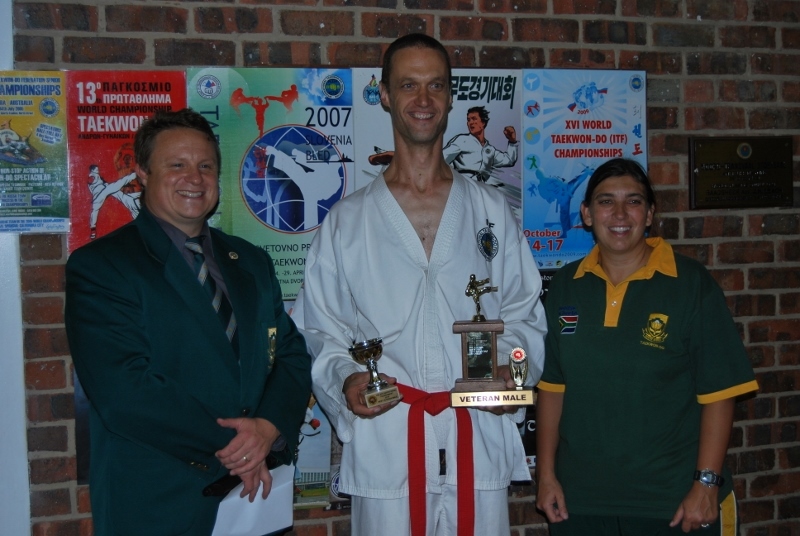 Sabum Chris was promoted post-humus to honorary 4th Degree black belt within the bounds of the SA-ITF by the SA-ITF president. 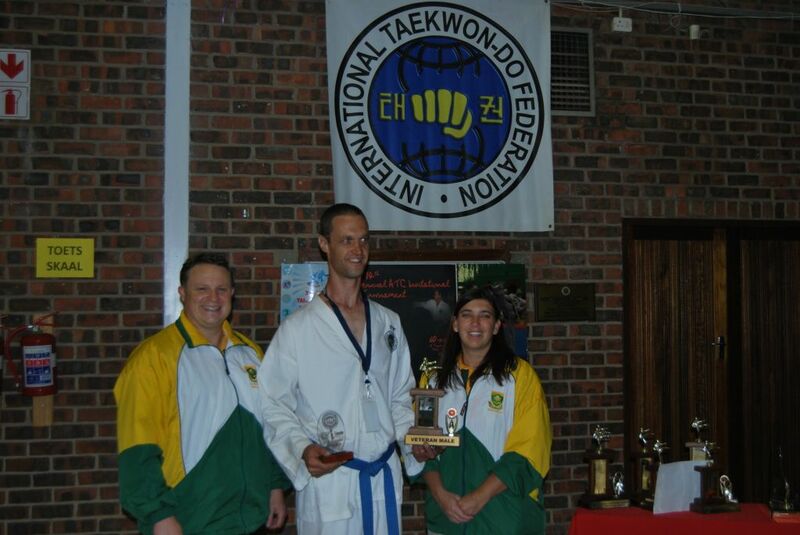 This is indeed an achievement he richly deserved, always putting the well-being of the organization and his students before his own and teaching ITF Taekwon-Do to all whom was willing to learn. He will be remembered for his directness but more over for his loving, caring heart. 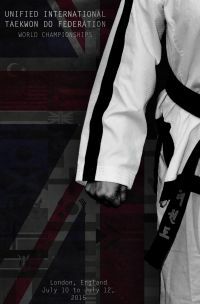 The white belt signifies innocence – which is what the beginning student wears, embarking on his/her journey with no previous knowledge of Taekwon-Do. 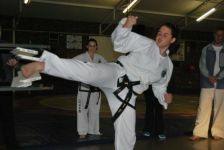 The black belt, is the opposite of the white and signifies maturity and proficiency in Taekwon-Do, marking a milestone in the students journey. 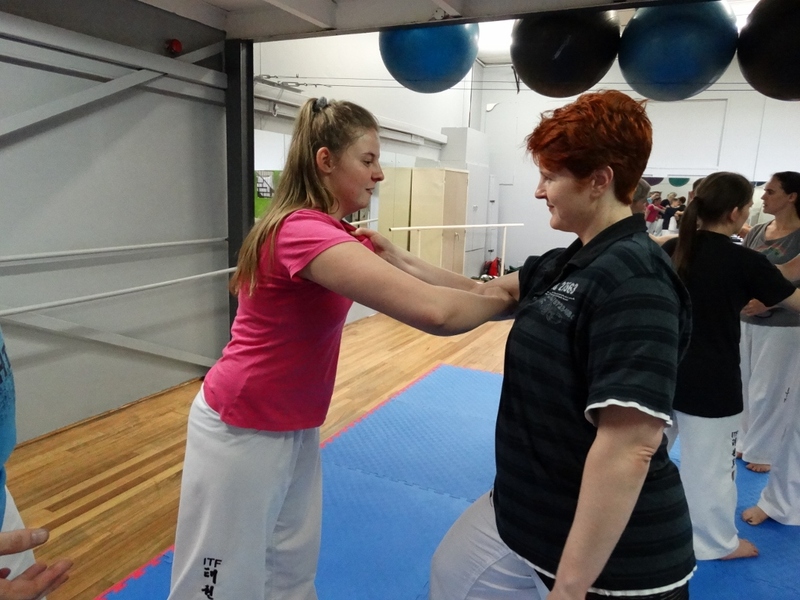 On Saturday 14 November 2015 ATC’s last black belt-grading for 2015 took place, presenting three students with the opportunity to prove their proficiency and knowledge. 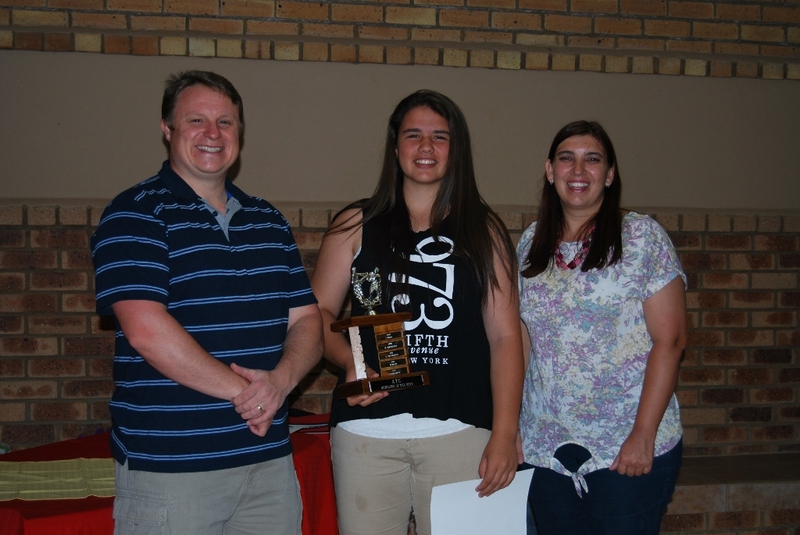 “It was an opportunity for personal growth”, as Danniëll Botes so eloquently stated afterwards. 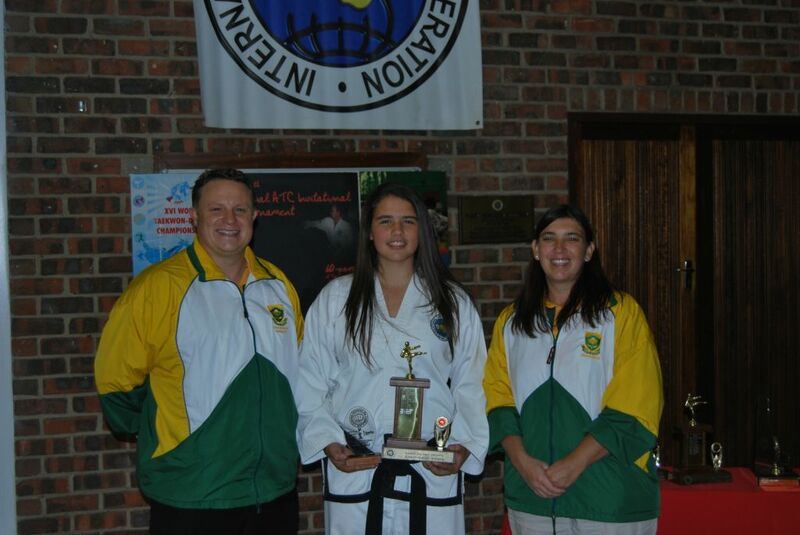 After months of intense physical and mental preparation, Danniëll Botes graded to 2nd Dan, and Ulrika Liebenberg and Theorentia Veldsman to 1st Dan under Sabum Karel Wethmar and Sabum Annari Wethmar. I would like to congratulate my fellow graduates on their achievements. 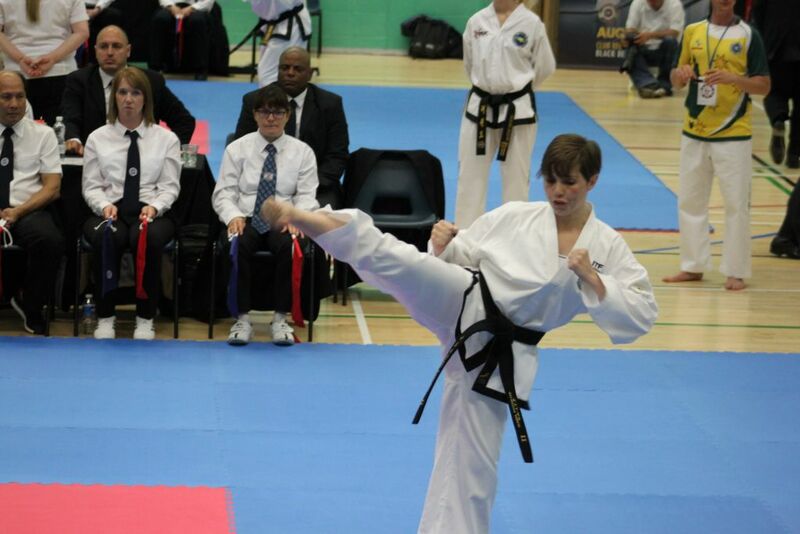 It has been an honour grading alongside you. Well done! 2015 sped by and time waited for no one. 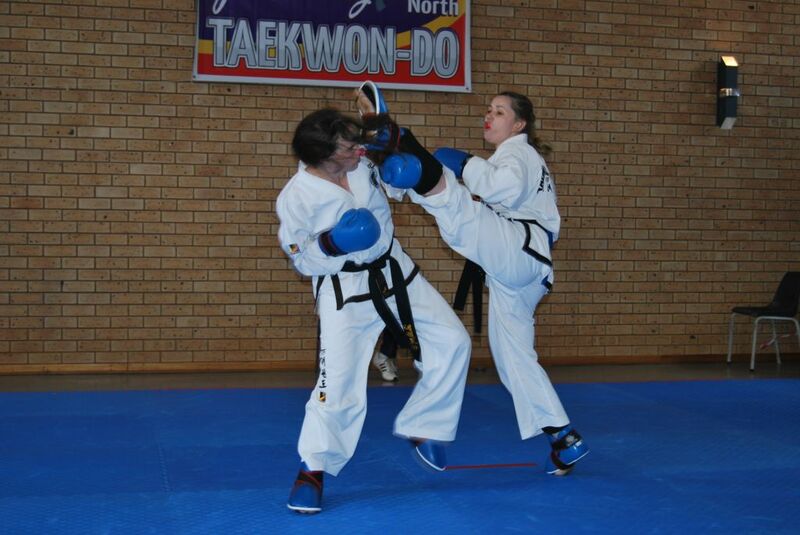 Another year with great Taekwon-Do memories came to an end! The ATC Festive Committee decided that the 2015 year-end function will take on the form of a “Potjiekos” dinner in a relaxed atmosphere in Equestria, Pretoria on Friday 6 November 2015. The event started with the awarding of certificates and annual floating trophies. 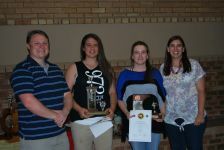 These were awarded in recognition of hard work done and dedication shown throughout the year. Congratulations to the all the category winners and achievers for all your hard work through-out 2015! Please see link below to the list of trophy winners. After the prize giving everybody enjoyed the dinner of “Potjiekos” with rice or “Stampmielies” and mixed salads. 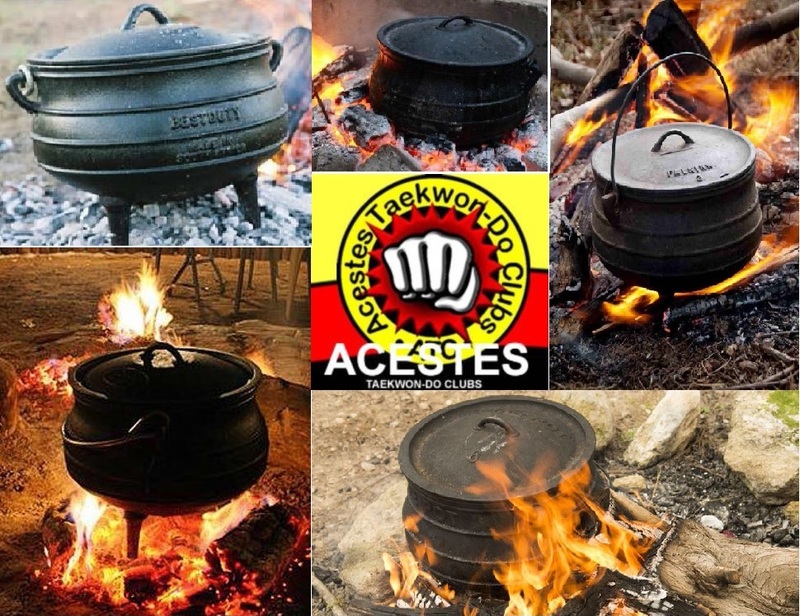 A choice of 3 “Potjiekos” were on hand, lamb shank, beef and chicken (the vegetable pot). The desert of ice cream with Polish Cherry sauce was a great hit and everybody enjoyed the dinner very much. 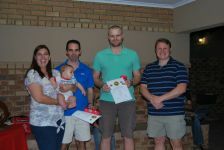 We would like to thank the Festive Committee for all their arrangements in making the night such a festive event and also Jaco Truter for preparing the “Potjiekos”! 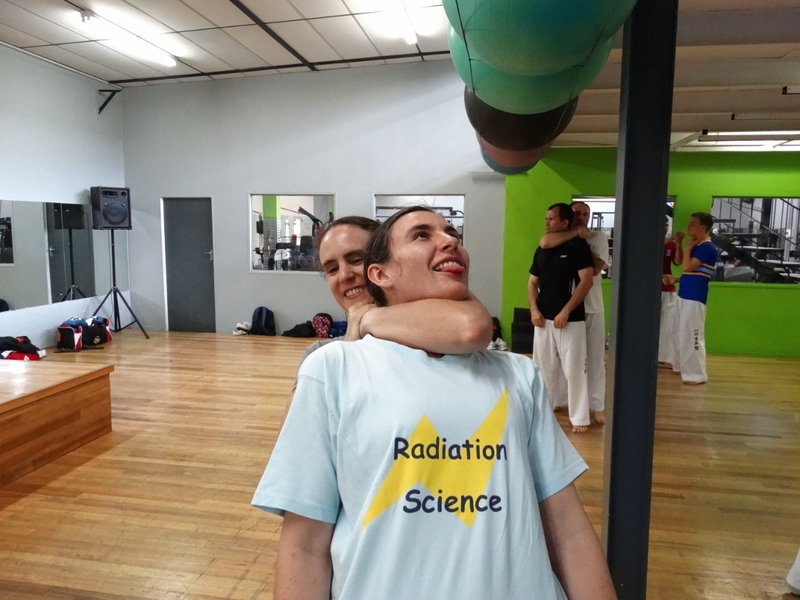 Over the weekend of 17-18 October 2015, ATC hosted the Sean Cremer Extreme Self Defence seminar in Pretoria. 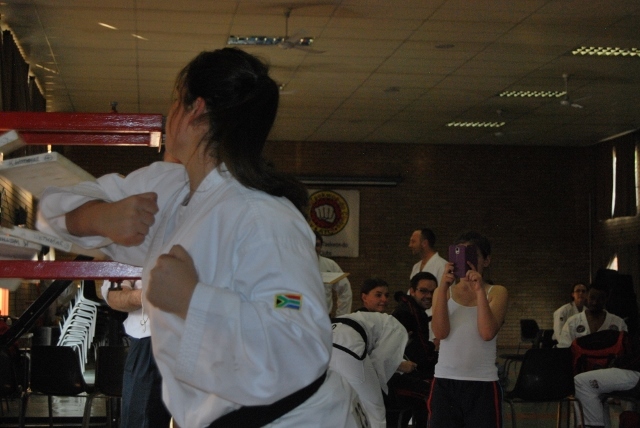 With participants from Groblersdal, Potchefstroom, Vanderbijlpark, Cullinan and Pretoria it was a weekend with a jam packed programme of some serious self defence techniques. 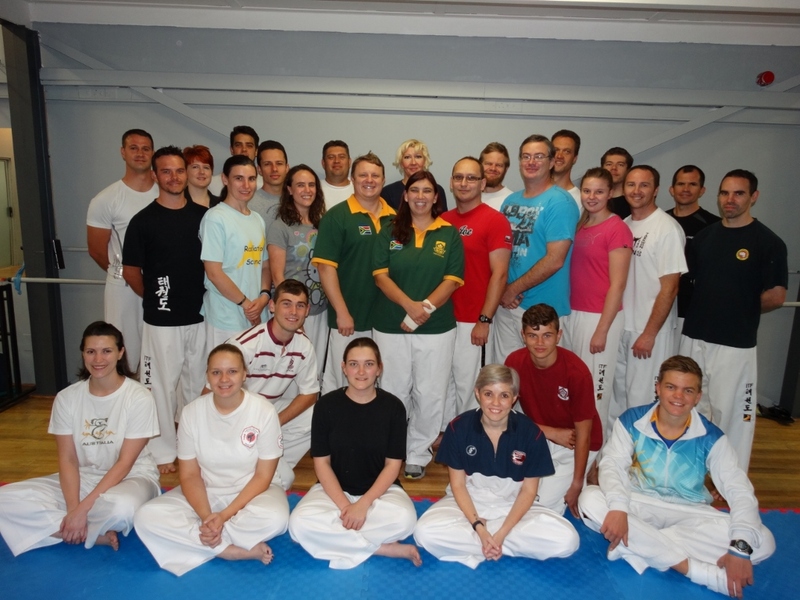 ATC would like to thank Sbm Sean and Bsb Grant for travelling all the way to Pretoria to present this awesome seminar this past weekend. 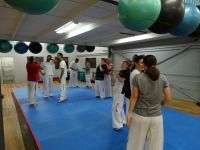 All the students that participated in this great seminar learned a huge number of self defence techniques and will probably need a couple of days to recover from all the intense joint and pressure point bruises. 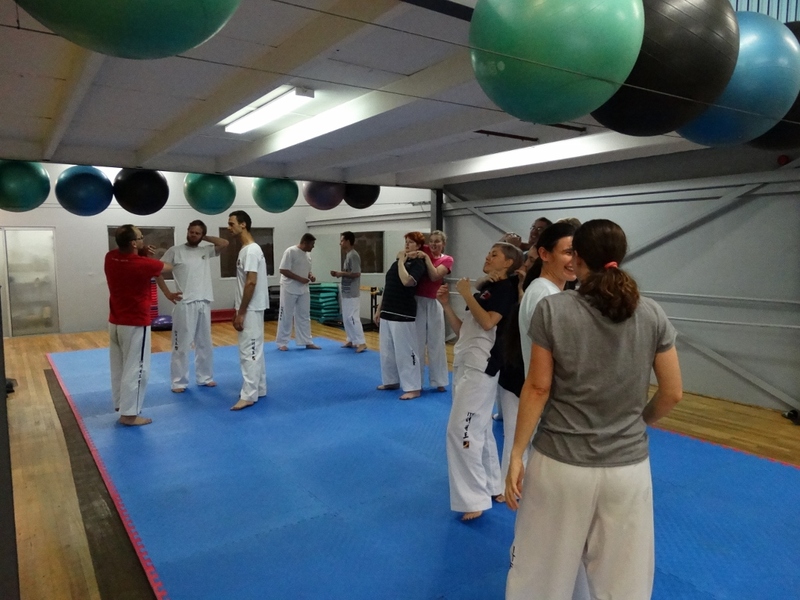 We are already looking forward to the next seminar in 2016. 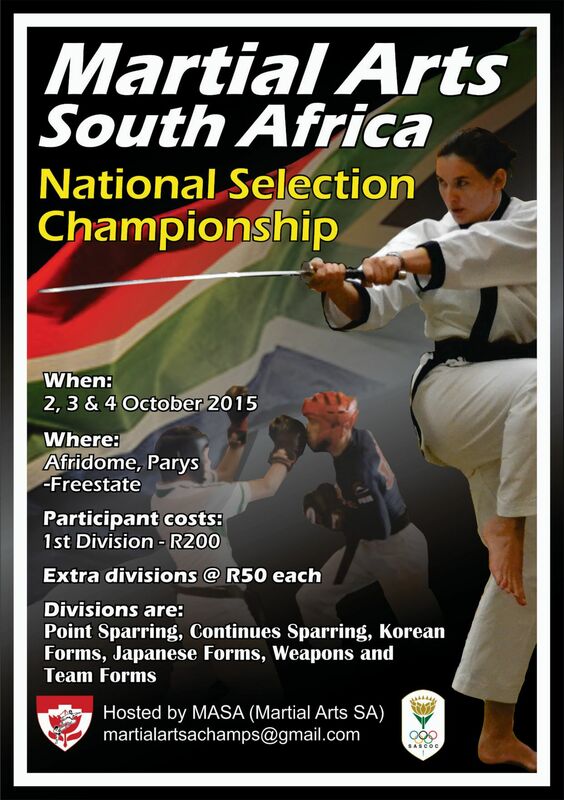 The Martial Arts South Africa (MASA) 2nd Annual National Championship was held on 3 and 4 October 2015 at the Afri Dome Showgrounds in Parys, Free State Province, in association with The Association For International Sport for All (TAFISA) and SASCOC. 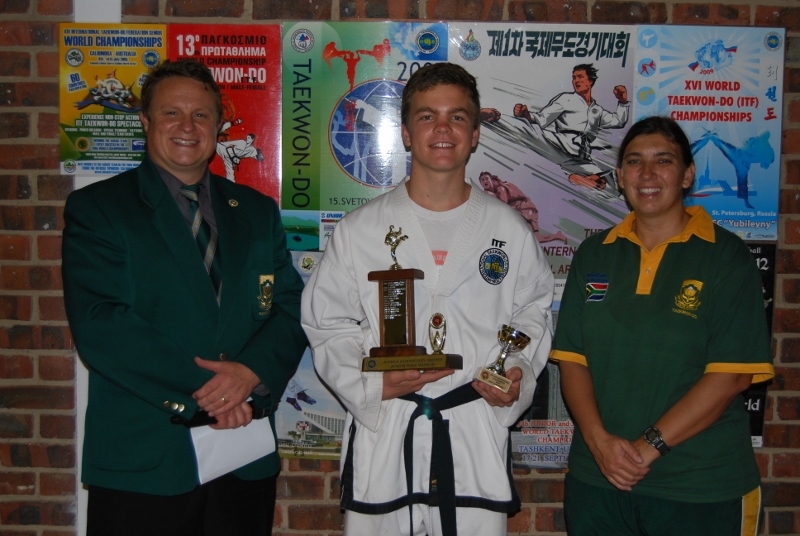 This event served as the basis for selecting National, Presidents and Development teams to represent South Africa at the 2016 World Martial Arts Games, which will be hosted in South Africa. 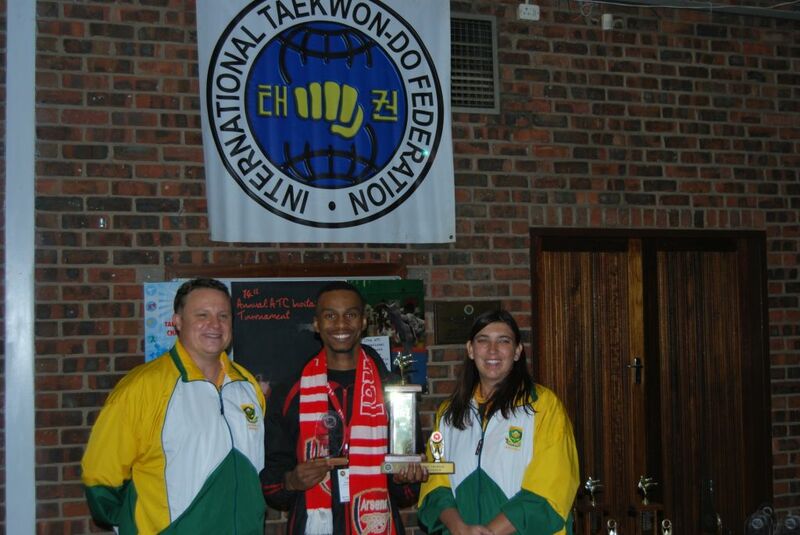 The team received positive feedback from several officials, and everyone enjoyed the tournament. 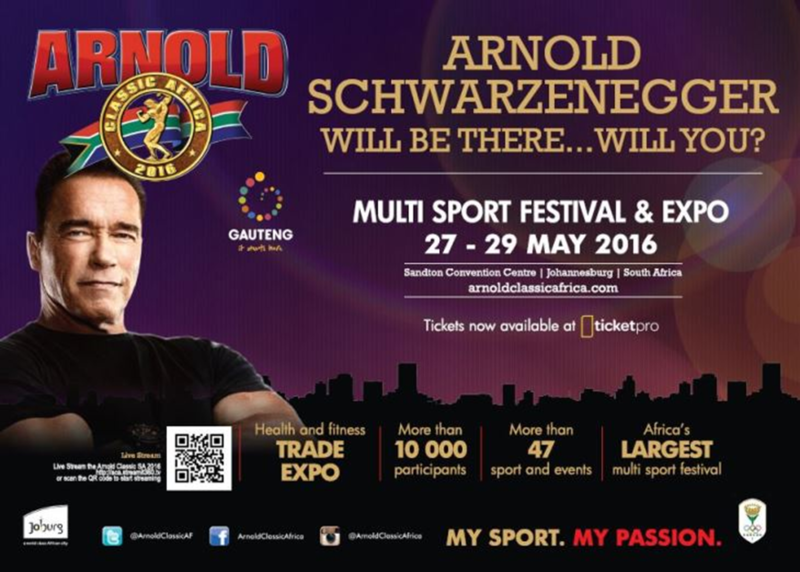 Exciting plans are in the pipeline for participating at the next event in 2016. Saturday 29 August 2015. 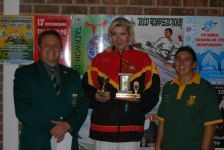 Denis Adami Hall, Queenswood, Pretoria played host the 2015 ATC Open Tournament. 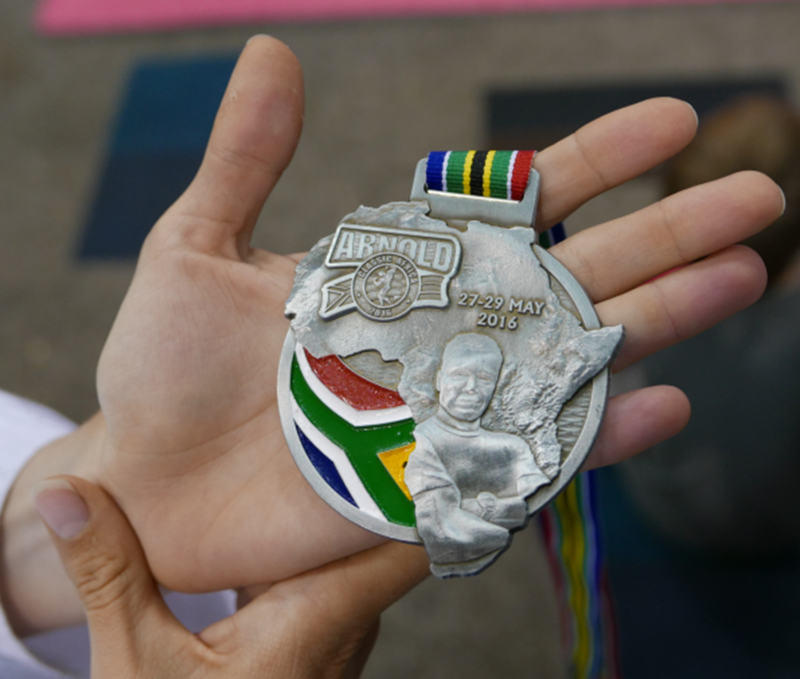 This year saw the 2 famous statues of Pretoria displayed on the medals. 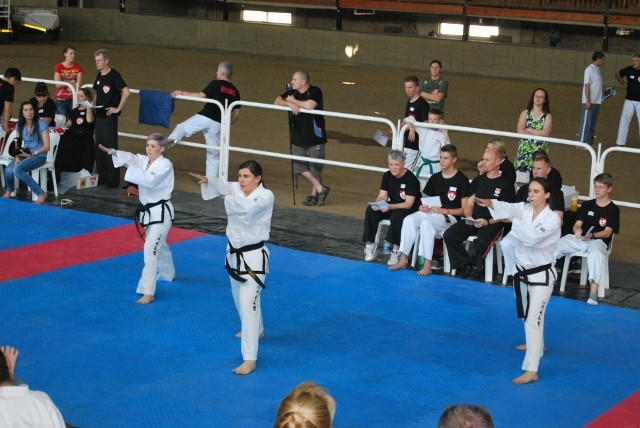 The tournament started with the black belts performing patterns and soon all the floors were busy with participants getting to strut their stuff. 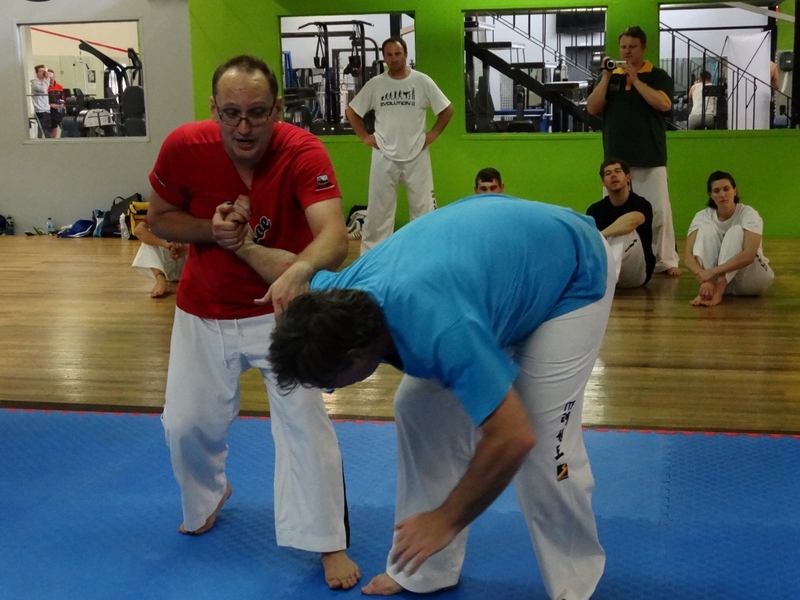 The patterns were followed with sparring, special techniques and power breaking. 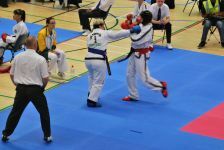 The highlight of the day; the Male and Female Open sparring divisions where anyone could enter to spar for the Open Champion Title, created huge excitement under the spectators. 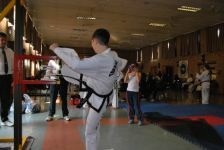 Open sparring divisions for Male and Female was created to prepare participants for Taekwon-Do team sparring where any belt level and weight can end up sparring against each other. 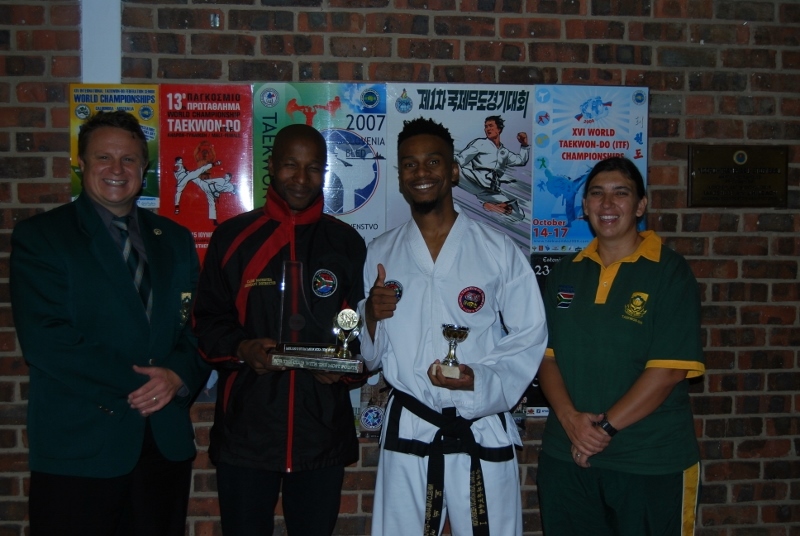 The Taekwon-Do Centre (Paulshof, Johannesburg) and ATC were in a very close tussle to win the trophy for the Club with the most points and ATC just managed to win the trophy for the 3rd year in a row. 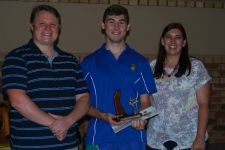 Well done and congratulations to all the trophy winners. 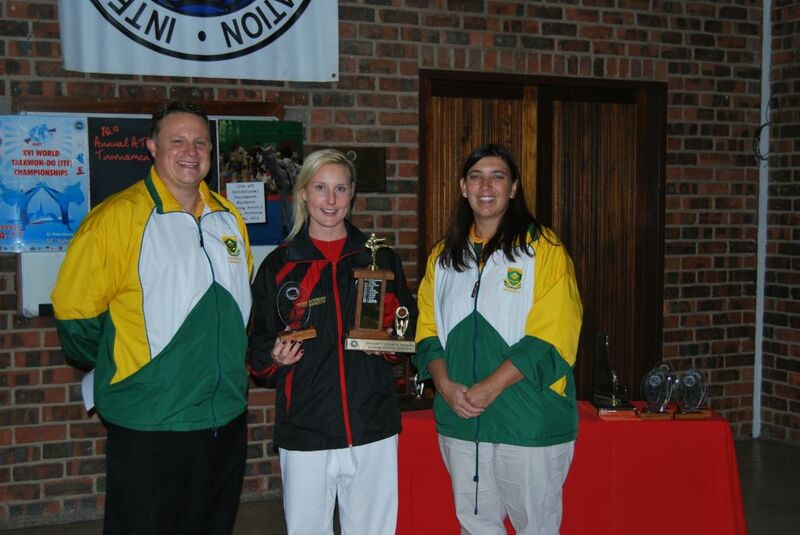 We would like to thank Millennium Konica Minolta for sponsoring the beautiful medals and the floating trophies that were handed out to the Champions and also a great thank you to Bobby Rizzo and Judy van der Westhuizen for their loyal support and assistance in sponsoring medals for various ATC Tournaments during the past 10 years! 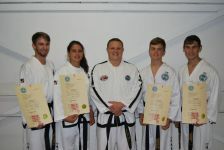 Black belts receive their certificates! 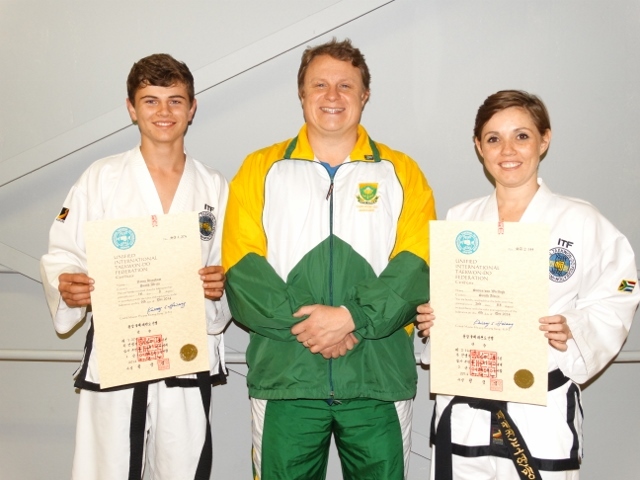 On Tuesday evening 25 August 2015, Susan von Wielligh (SA-2-144) received her 2nd Degree black belt certificate and Janco Hanekom (SA-1-374) received his 1st Degree certificate from their instructor Karel Wethmar. 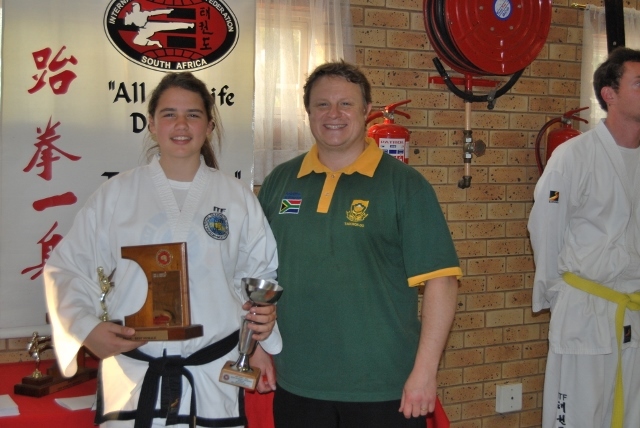 Both of them graded to their respective black belt levels on Saturday 6 December 2014 in Pretoria. 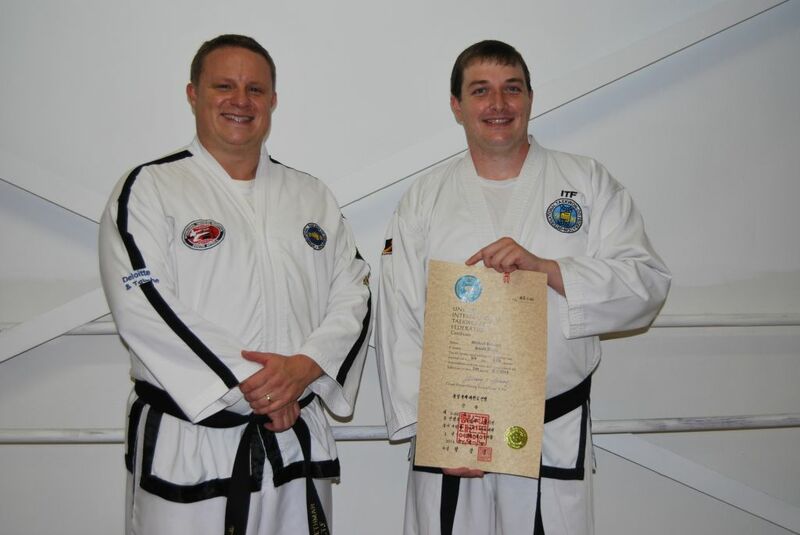 The black belt certificates are produced and issued by the U-ITF HQ office in the USA and signed by the U-ITF president, Grand Master Hwang Kwang Sung (K-9-1). 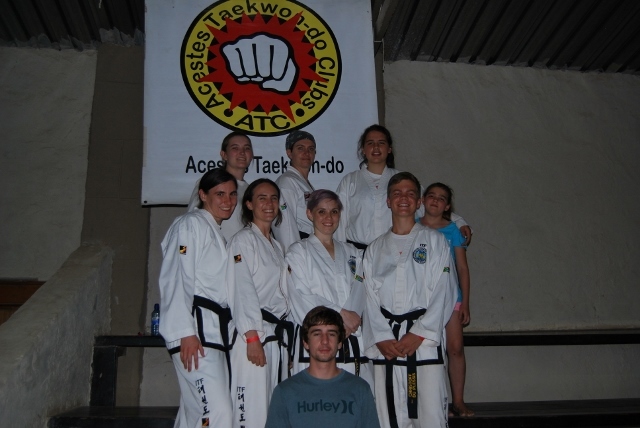 From your instructors and all the ATC students, a warm congratulations for receiving your black belt certificates! The 2nd Unified ITF World Championships were held from 10 to 13 July 2015 at the University of Hertfordshire, London, UK. 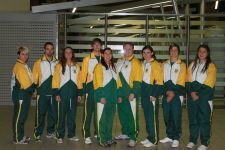 The South African Protea team consisted of 12 members of which 8 came from ATC: Manie Naudé, Isabel Potgieter, Thereasa Tolmay, Susan von Wielligh, Arnu Nepgen, Danniëll Botes, Juané Boonzaaier and Christoff du Plessis. 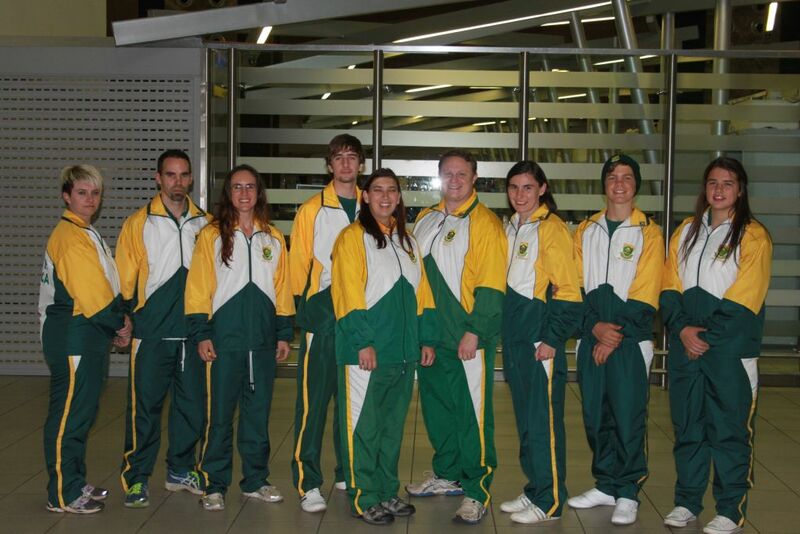 The South African Protea team won a total of 13 medals of which 11 were brought home by the ATC students on the team. 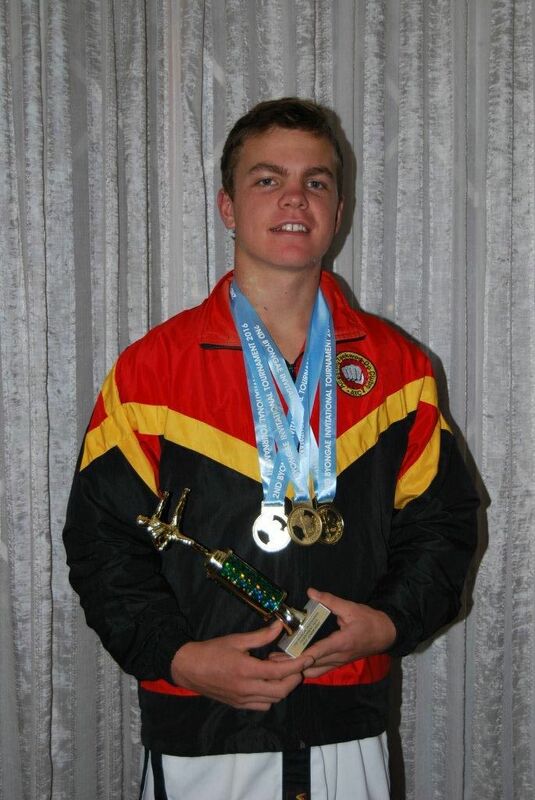 3 ATC students won Gold medals (Juané Boonzaaier, Christoff du Plessis and Arnu Nepgen) and became World Champions, the first time that any ATC student achieved this unbelievable milestone. 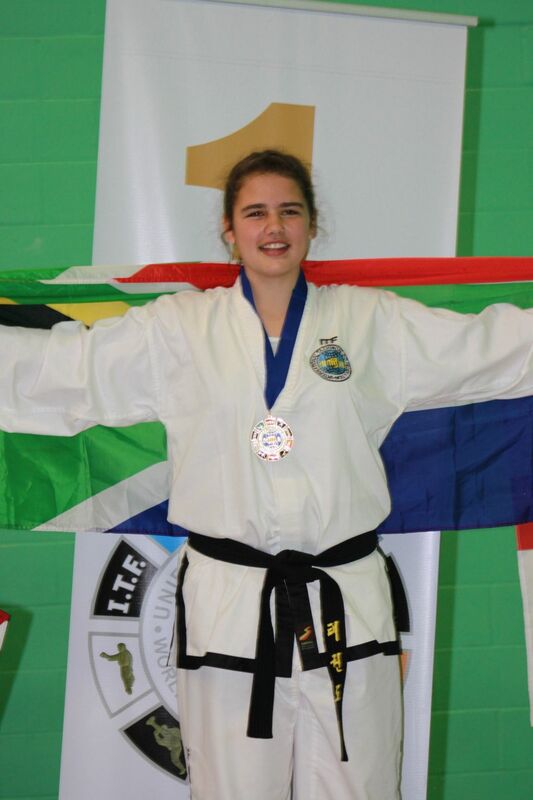 For the 1st time in the history of Taekwon-Do in South Africa a participant was declared the overall winner of the Junior Female division. 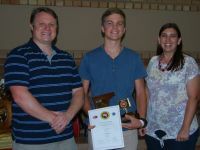 This was awarded to Juané Boonzaaier! Manie Naude (4th Degree) and Danniëll Botes (1st Degree) also attended the International Technical Seminar on 8 July 2015 that was hosted by the UITF President and Grand Master, Hwang Kwang Sung (K-9-1). 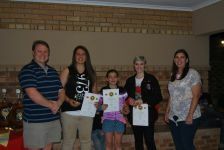 On the 30th of May 2015, Gauteng North Wrestling hall, Menlo Park, Pretoria it was time for the 14th Annual ATC Invitational Tournament. 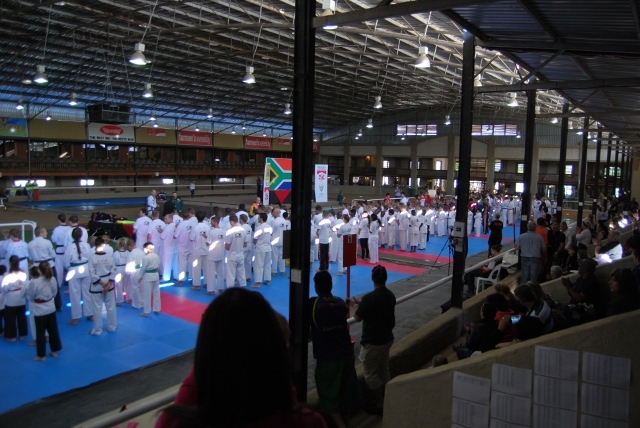 The activities kicked off at around 7h00 and the cold winter morning assured for a rush to get into the hall as over 260 competitors anxiously arrived for a great day of competition. 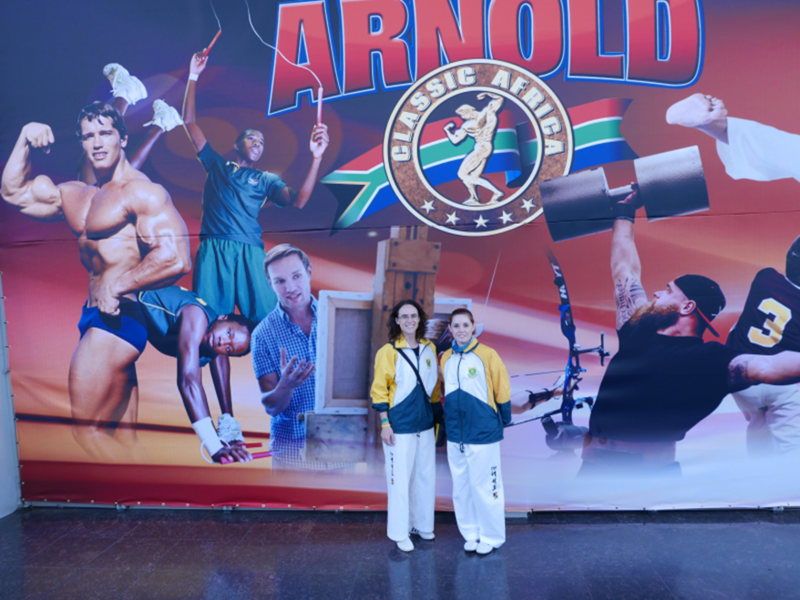 The crowd full of mixed emotions and high expectations was swiftly greeted and taken care of by the ATC weigh-in and information desks to ensure a fair and fun tournament for the day. 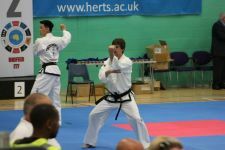 The tournament kicked off with a bang as the black belts started with their patterns and you could feel the anxiety being replaced by the pure excitement of the day. 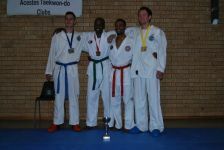 As a fellow competitor on the day I can say that I fully enjoyed the well organized and planned event. 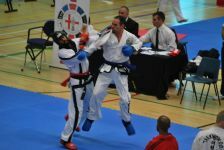 The quality of Taekwon-Do on the day was exceptional as we had different ITF federations and also GTF participating on the day. The medics were on point and ready for any injury on the day and helped with keeping the tournament running smooth as silk. The ATC tournament should not be seen as a day of competition. 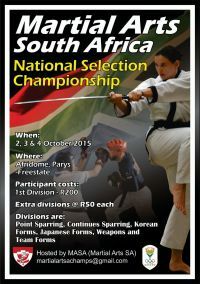 It should be seen as an event not only for the competitors, but for family and friends alike. 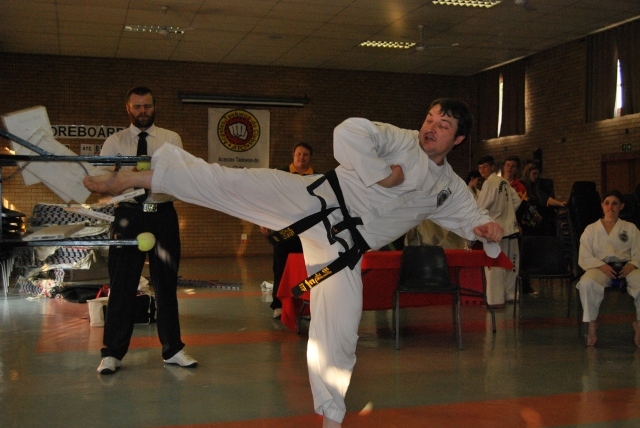 The tournament offers a great martial arts experience. 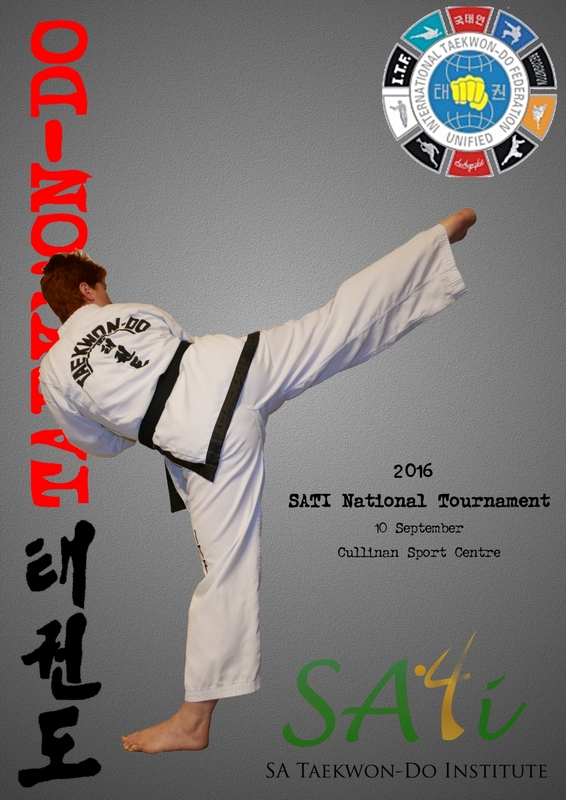 I recommend that any martial art lover come through and witness what the ATC tournament is doing not only for Taekwon-Do, but for martial arts in South Africa. 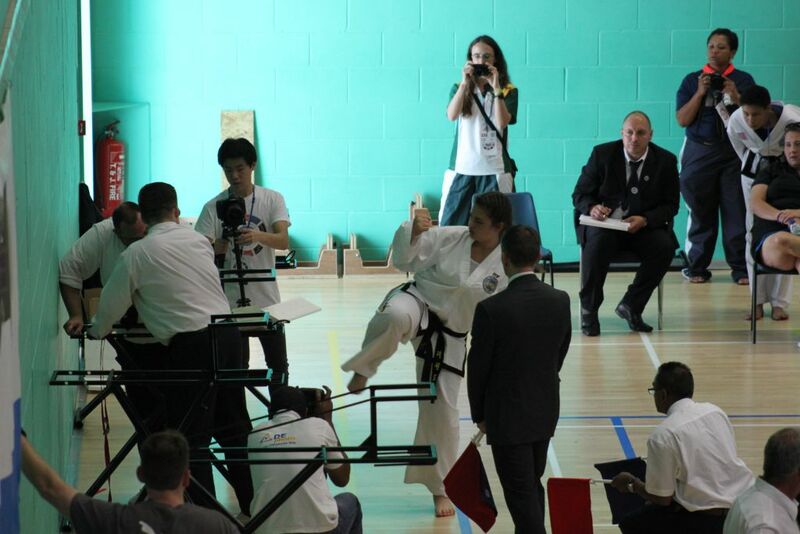 A special thank you to Laserfox whom sponsored the medals and the floating trophies that were handed out on the day to the winners of each category. 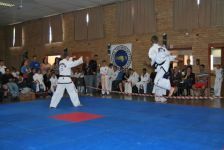 The annual Gauteng North tornament took place on Saturday 21 March 2015. 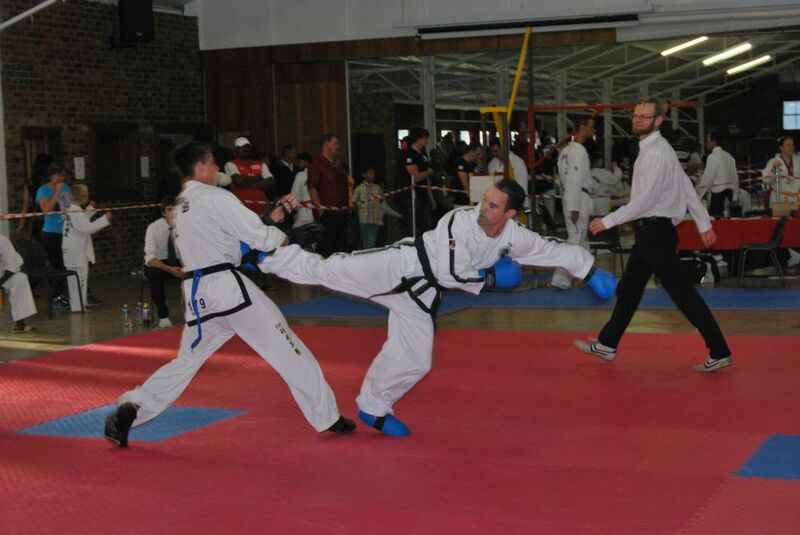 With butterflies in their stomachs, competitors from all over Northern Gauteng arived in large numbers at the Denis Adami Hall in Queenswood, Pretoria. 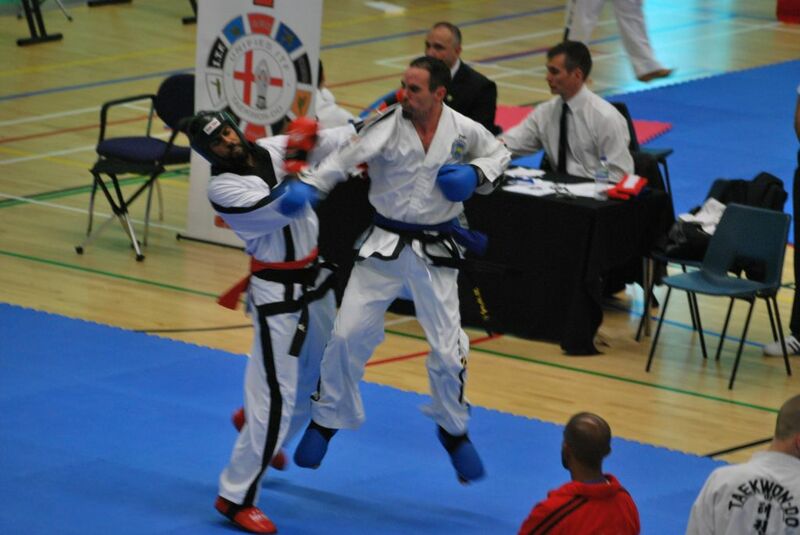 A full day’s competition ensured loads of fun and excitement for spectators and competitors, from tigers to veterans competing in patterns, sparring, special techniques and power breaking. 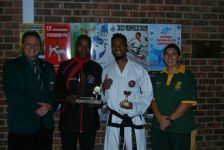 Well done to Sabum Karel and Sabum Annari Wethmar for an event extremly well organised. 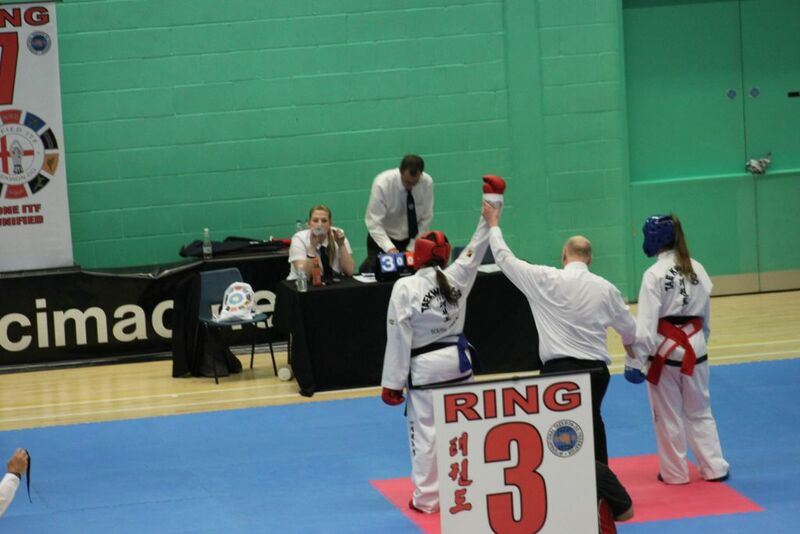 Thanks to all those who contributed to a very sucsesfull day as well as umpires and judges on the day. 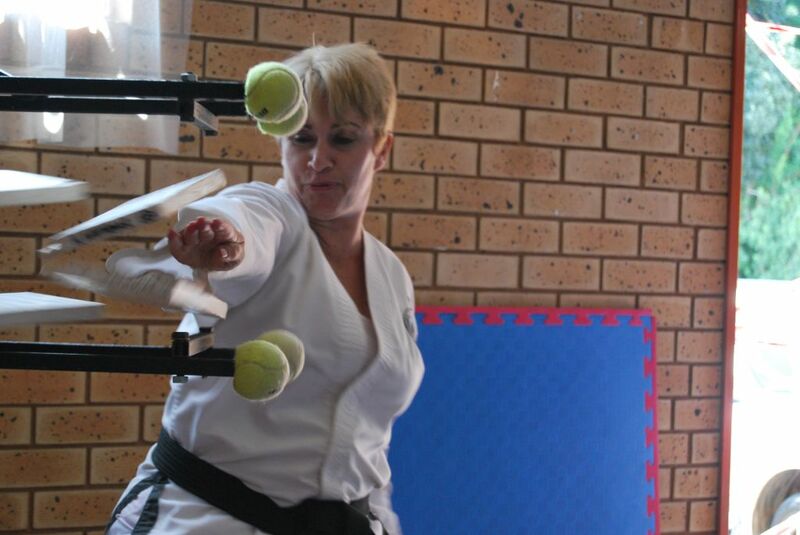 A special thanks to Millennium Konica Minolta and in particular to Bosabum Bobby Rizzo and Judy van der Westhuizen for sponsoring the medals for the tournament. Congratulations and well done to all the participants who qualified for their Gauteng North colours! 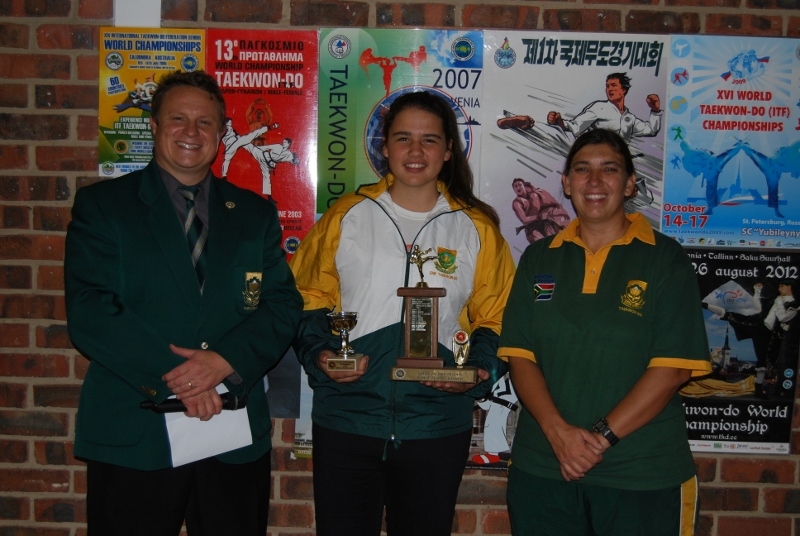 The ATC members selected as part of the 2015 SA National Taekwon-Do team that will be participating at the 2nd Unified ITF Taekwon-Do World Championships to be held in London, England from 8-12 July 2015 are Manie Naudé, Isabel Potgieter, Thereasa Tolmay, Susan von Wielligh, Arnu Nepgen, Danniëll Botes, Juané Boonzaaier and Christoff du Plessis. Months of hard training under the coaches Karel and Annari Wethmar have brought the national team to the point where they are prepared and ready to embark on their journey to London 2015. 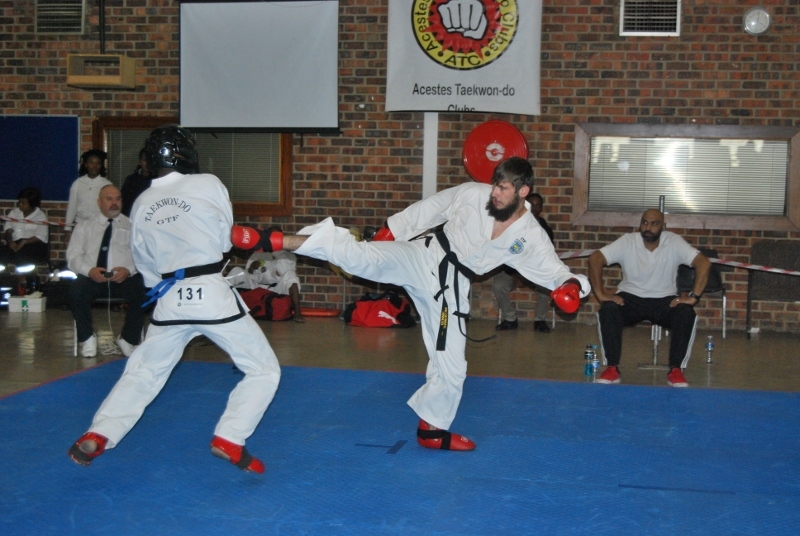 The above mentioned ATC members qualified for their SASCOC awarded Protea colours and will participate in individual patterns, sparring, power breaking and special techniques. Manie Naudé was also selected as the National Coach and Isabel Potgieter as the Assistant National Coach to the SA-ITF’s National team to participate in London. 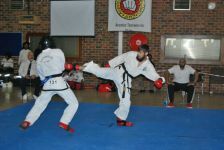 Manie will be participating in senior male 4th degree patterns, sparring, special techniques and power breaking. 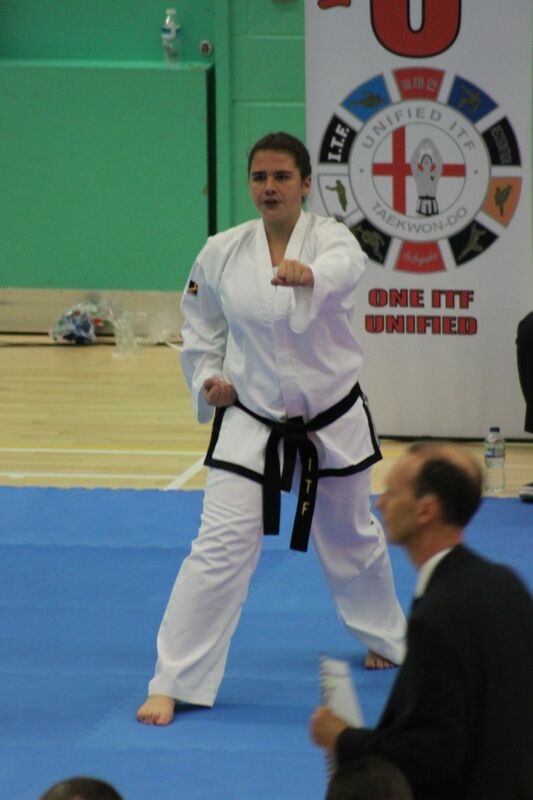 Isabel in senior female 3rd degree patterns, special techniques and power breaking, Thereasa in veteran female 2nd degree patterns, sparring, special techniques and power breaking, Susan in senior female 2nd degree patterns, sparring, special techniques and power breaking, Arnu in senior male 1st degree patterns, sparring, special techniques and power breaking, Danniëll in senior female 1st degree patterns. 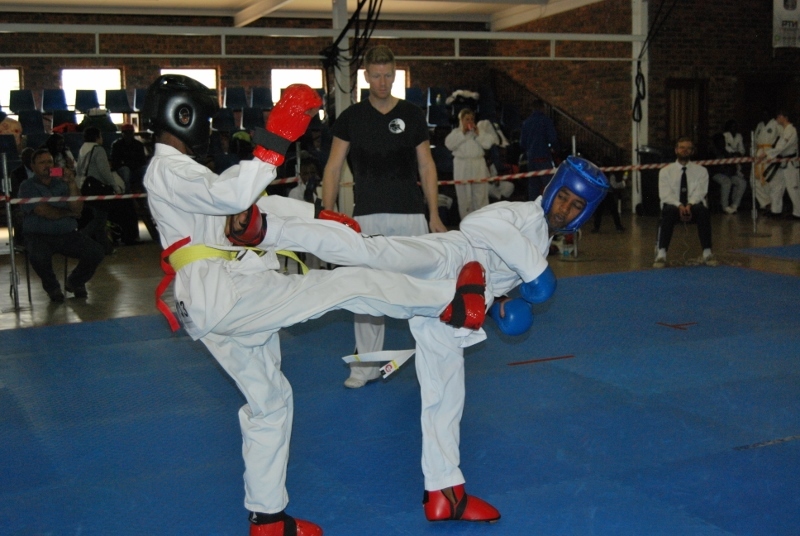 Both Juané (15) and Christoff (16) will respectively be participating in the Junior categories in 1st degree patterns, sparring and special techniques. 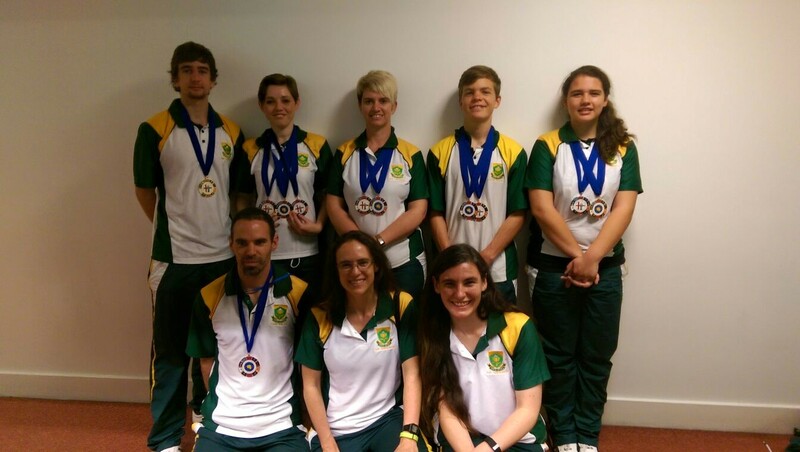 We wish to congratulate the ATC members selected for the National team and wish them all the best of luck with their participation at the 2015 World Championships! 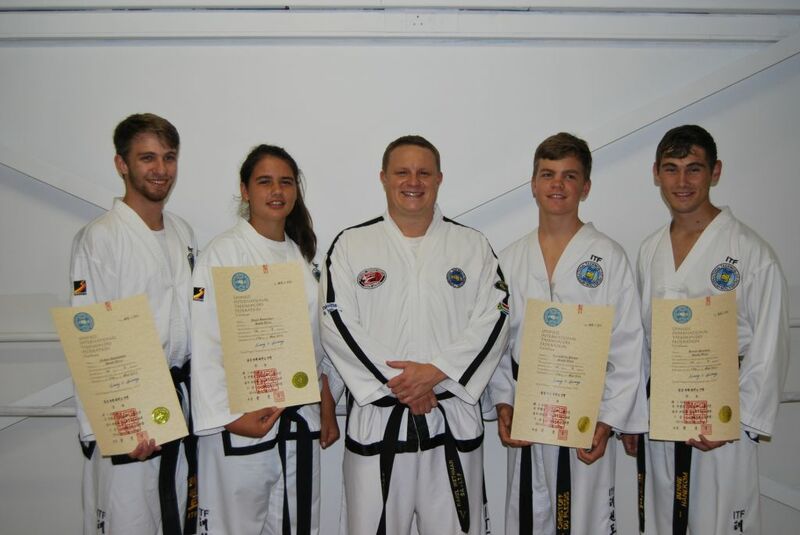 ATC black belts receive their certificates! 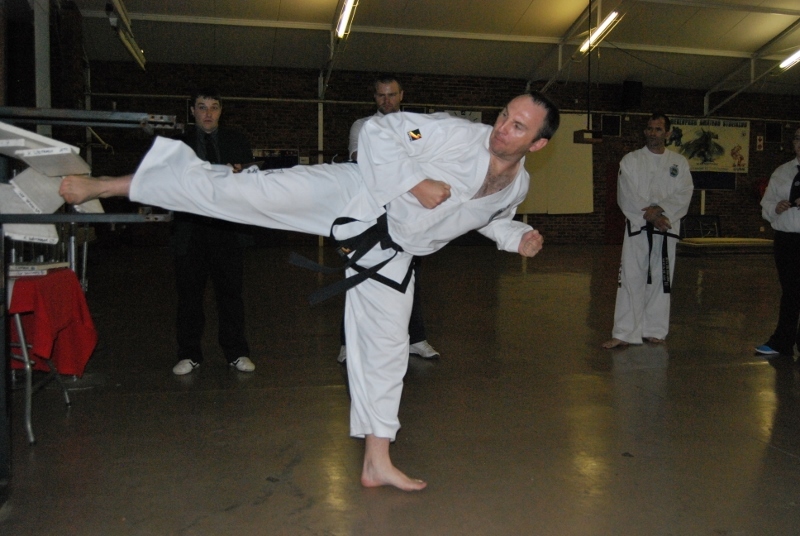 On Thursday evening 19 March 2015, Mike Loubser (SA-3-66) received his 3rd Dan black belt certificate from his instructor Karel Wethmar. 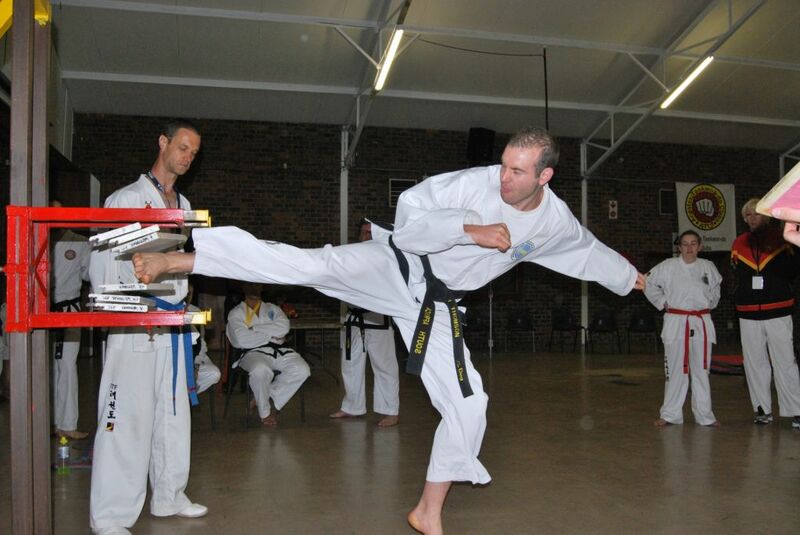 On the same evening Nathan Shatkovsky (SA-1-352), Bennie Hanekom (SA-1-353), Juané Boonzaaier (SA-1-354), and Christoff du Plessis (SA-1-355) received their respective 1st Dan black belt certificates from their instructor Karel Wethmar. 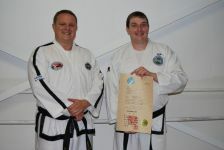 The black belt certificates are produced and issued by the U-ITF HQ office in the USA and signed by the U-ITF president, Grand Master Hwang Kwang Sung. The year past faster than a flashing light. We have reached the end of yet another year filled with awesome Taekwon-Do memories! 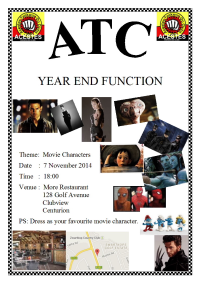 The 2014 year-end function took on the theme of “Dress up as your favourite movie character” and took place on the 7th of November 2014 at the More restaurant in Centurion. It brought together the ATC family for a night filled with fun and games. 1st: “Fellowship of the ring” characters – Isabel, Susan, Danniëll, Juané and Theorentia. After the formalities were done and dusted, it was time to eat. 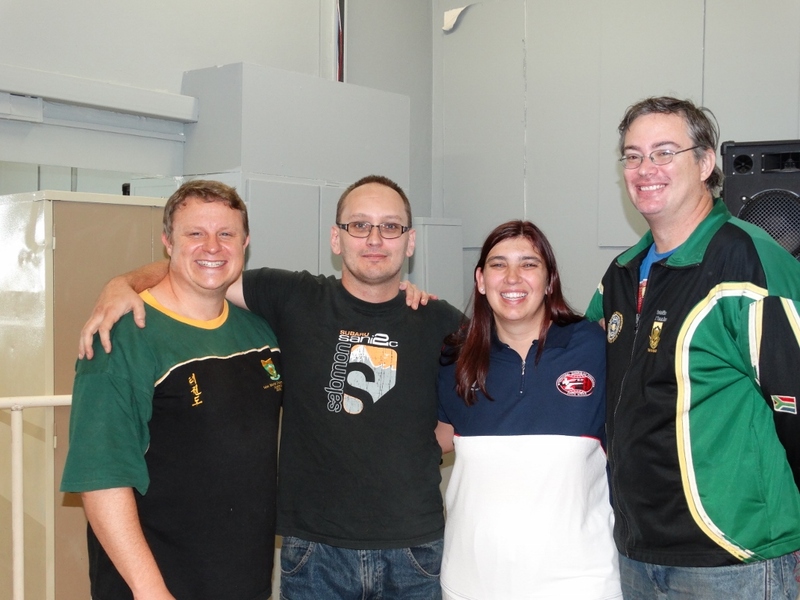 Everyone ordered their preferred dish for the evening, from pizza to braaivleis, everything was on the menu. The night was a huge success and we thank all those who made helped with organizing and put together this great function! A special thanks to Tanya Botha who made it all happen! 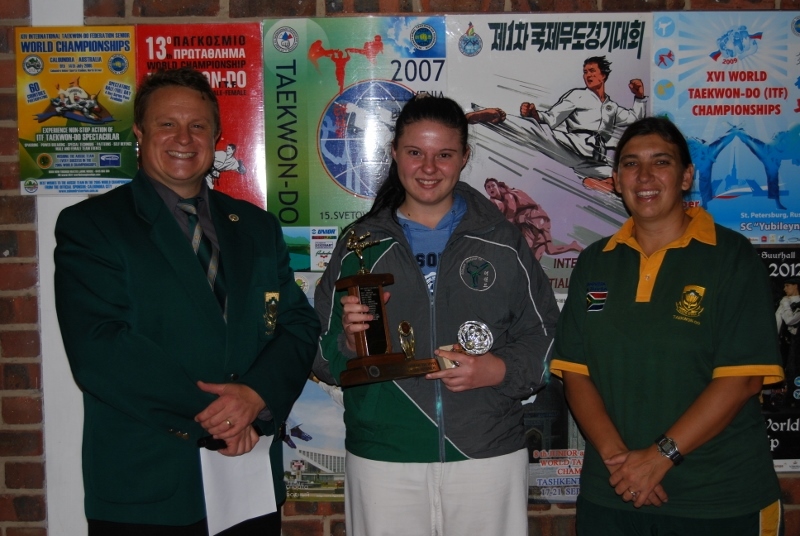 For the weekend of 4-6 October the ATC team travelled down to Port Elizabeth, some by plane, some by car, some by bus, to attend and compete in the Chang Hon Ryu National Championships and selections tournament. 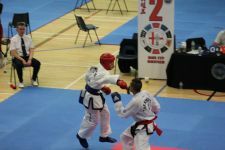 This year the tournament received sponsorship from the National Lottery, which enabled the organisers to subsidise the travel costs for some students who would otherwise not have been able to attend. 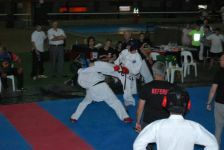 Two different TV crews also attended the tournament, Bay TV visited on Saturday on ETV was there on Sunday to cover the black belt sparring. We also had the honour of receiving a visit from Grand Master Hwang, who attended the tournament and gave the umpires and coaches some feedback and pointers on how to improve the standard of taekwon-do in South Africa. 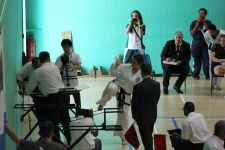 As always our competitors and judges conducted themselves in an exemplary fashion while at the same time thoroughly enjoying themselves and turning in fantastic performances. 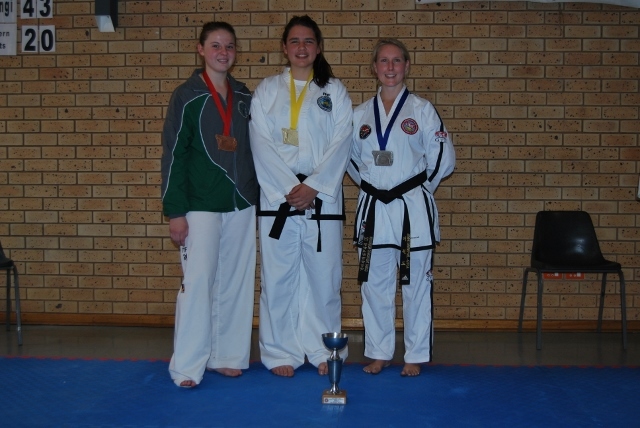 The senior female team took gold in team sparring and team power and silver in team patterns. 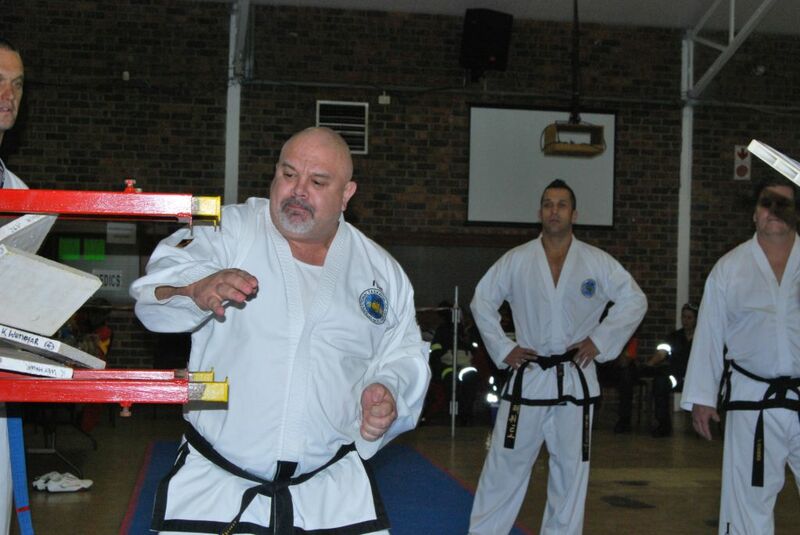 On 2 October 2014, Kempton Park, the SA-ITF had the honour of participating in the 1st International Seminar conducted by Grand Master Hwang Kwang Sung. As several dozen black belts and colour belts gathered in the hall to await the Grand Master’s arrival, one could feel the collective nervousness. Every one of us was wondering what he would be like and how he would approach the seminar. Our questions were answered when an extremely enthusiastic man charged into the hall, rubbing his hands together and shouting: “Good afternoon!” Right away, the entire room warmed to the Grand Master. He immediately threw away all traditional ranking positions and called the children to him. It was obvious straight away how important he regarded them to be. 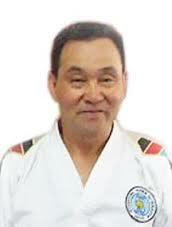 The Grand Master showed us to be a man of tremendous knowledge, but also of great humility. It was clear that his primary focus above anything was to make sure that every one of us in that room walked away with a better knowledge of Taekwon-Do than when we entered it. The seminar itself was long and tiring, as the Grand Master corrected techniques that some of us had been practising for years. However, he was endlessly patient and very thorough in his explanations of the moves we were learning, always ensuring that we understood, not only the move itself, but also the reasoning behind each move. 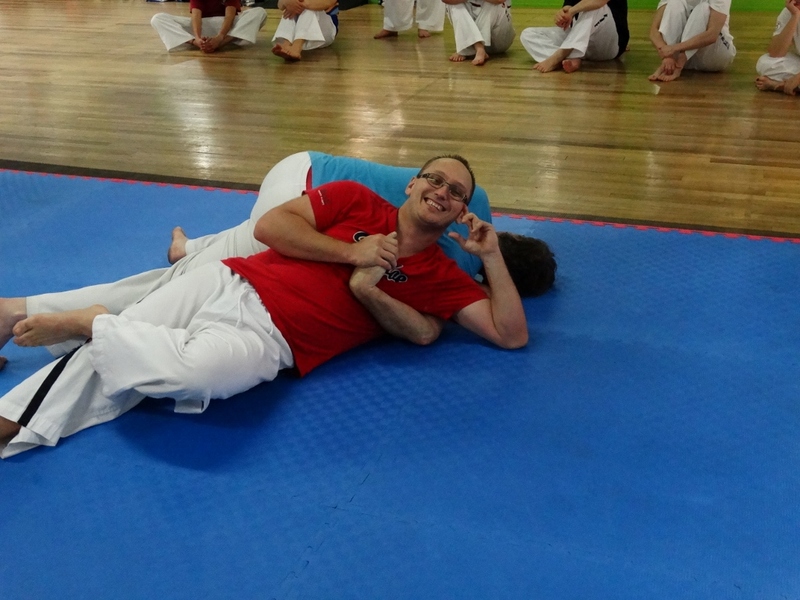 We worked through every pattern from white belt to First Dan black belt, and there was some pretty serious fatigue by the end. For a few of us, however, that was not the end. 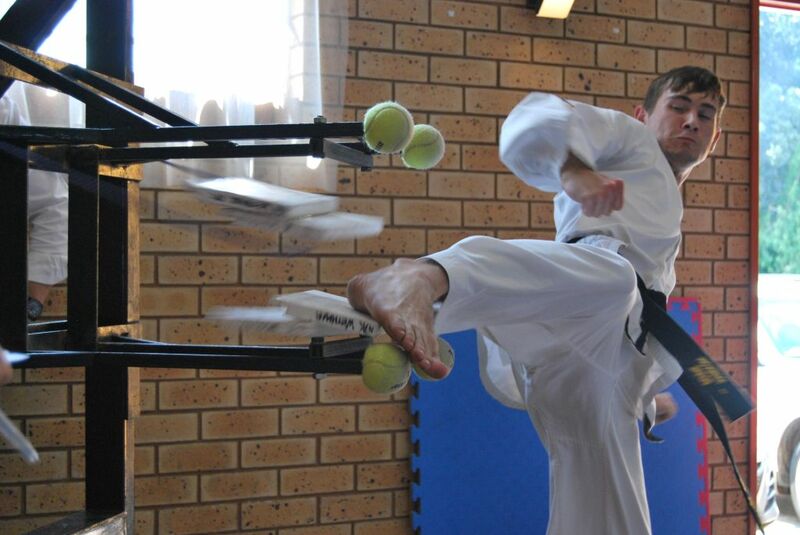 Four 2nd Dans and one 4th Dan had the singular honour of grading under the Grand Master. 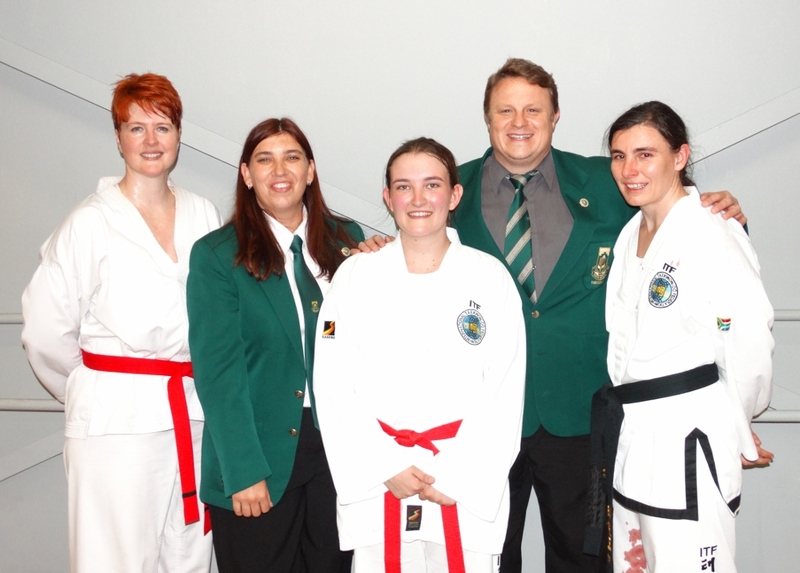 After a long day of training, it was not easy to summon the strength required of us to perform at such a late hour in front of the President of the United International Taekwondo Federation, but every one of us was happy to have made the effort. It is very unlikely that any of us will ever have the opportunity to demonstrate our skills before a 9th Dan black belt again and I, for one, will always treasure the experience.